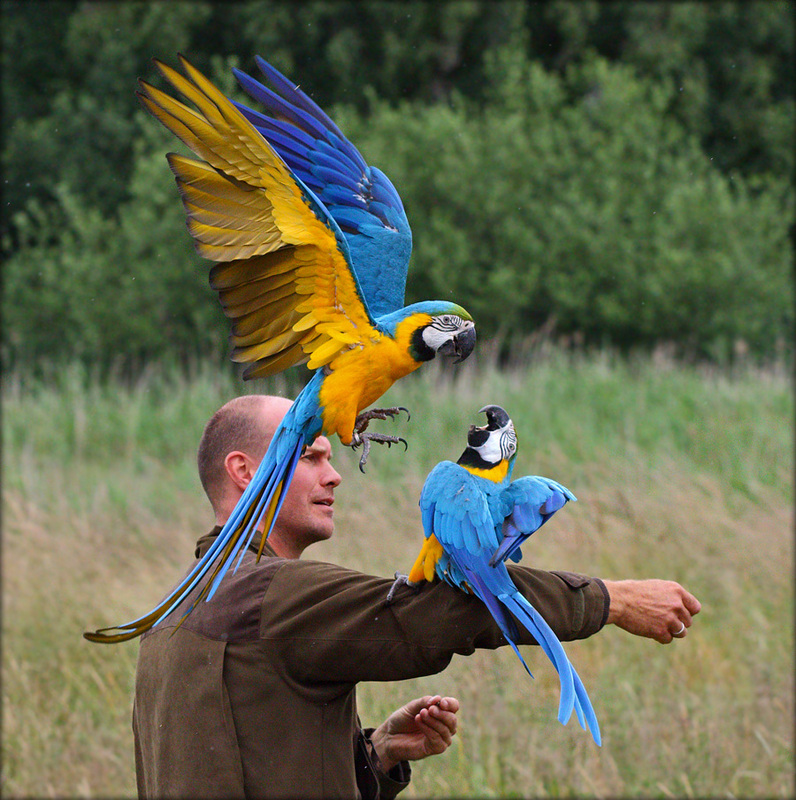 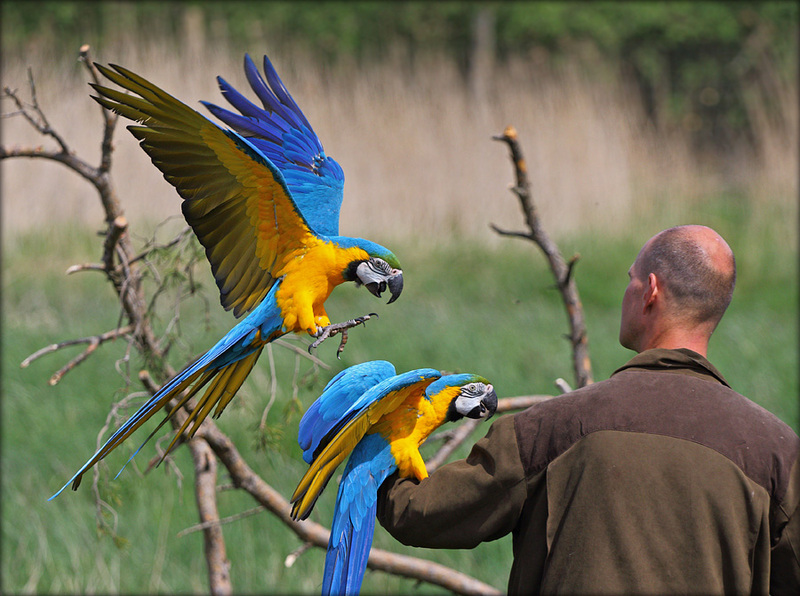 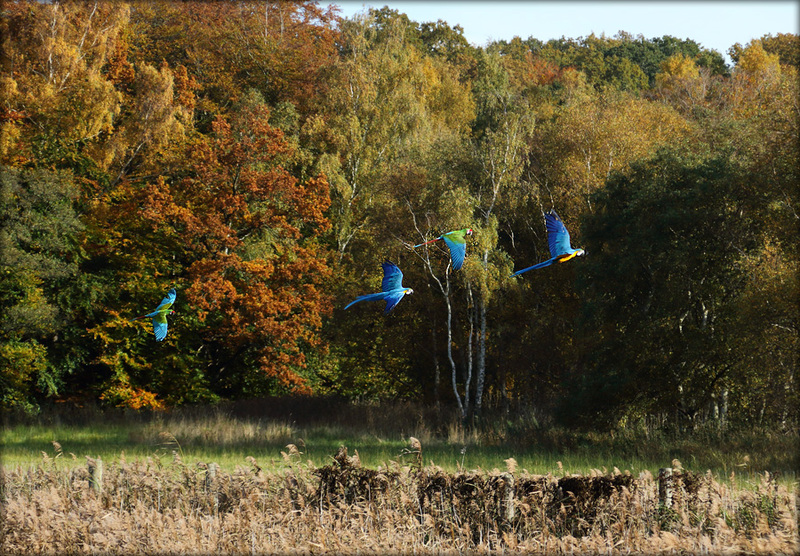 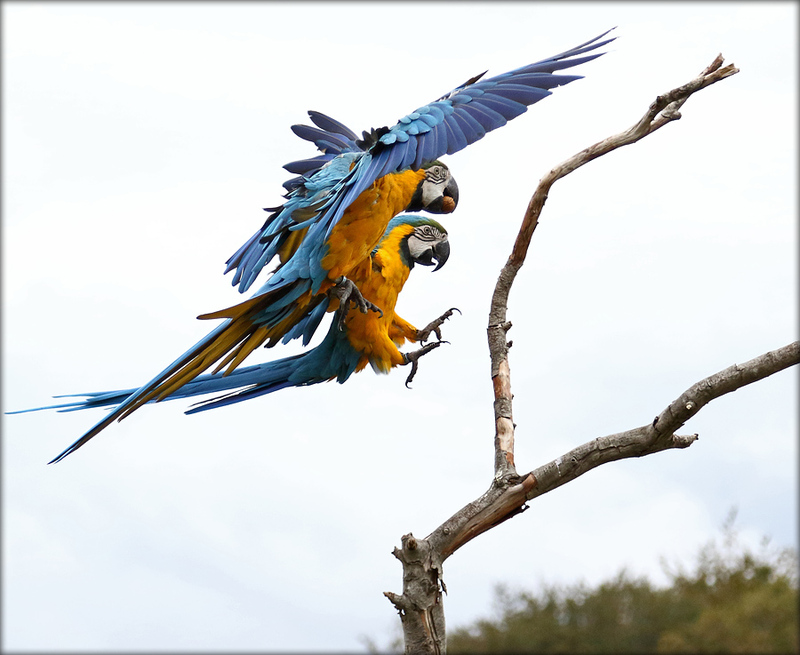 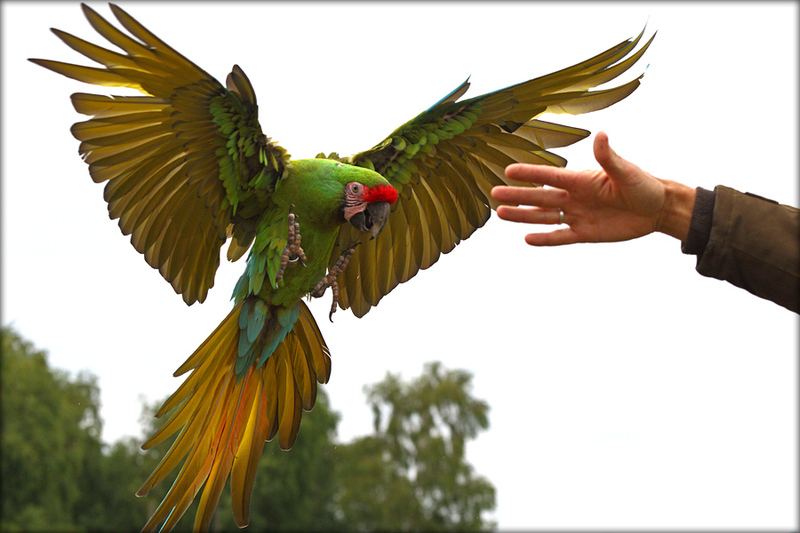 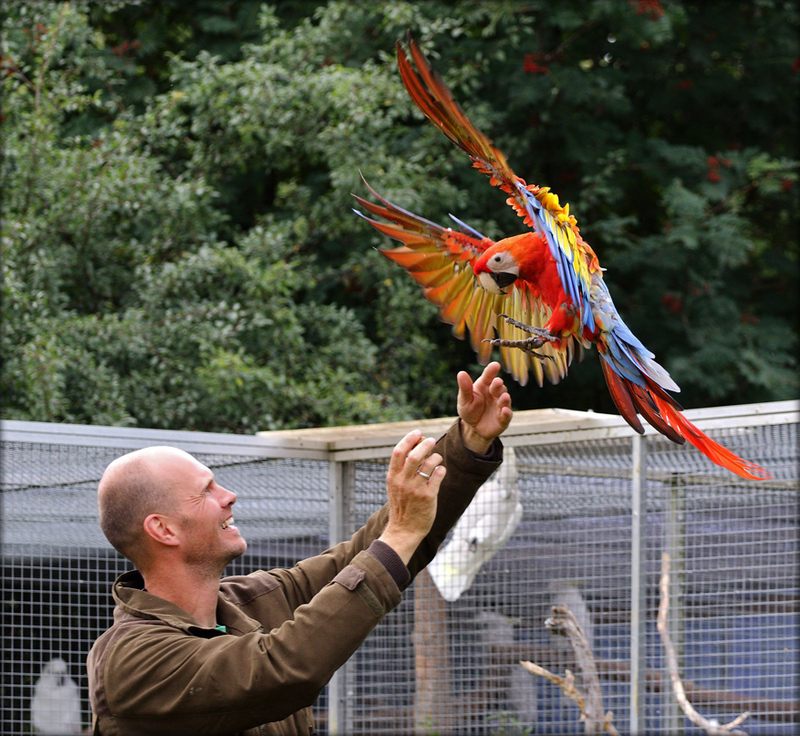 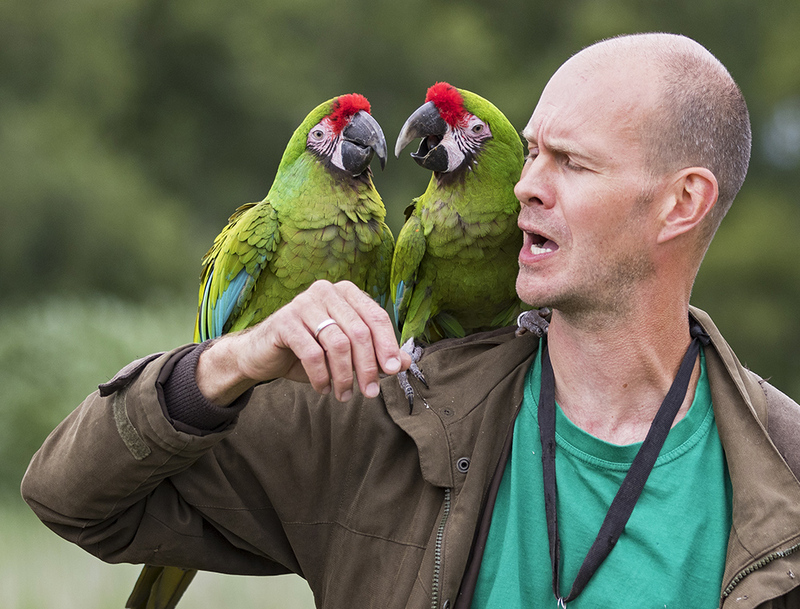 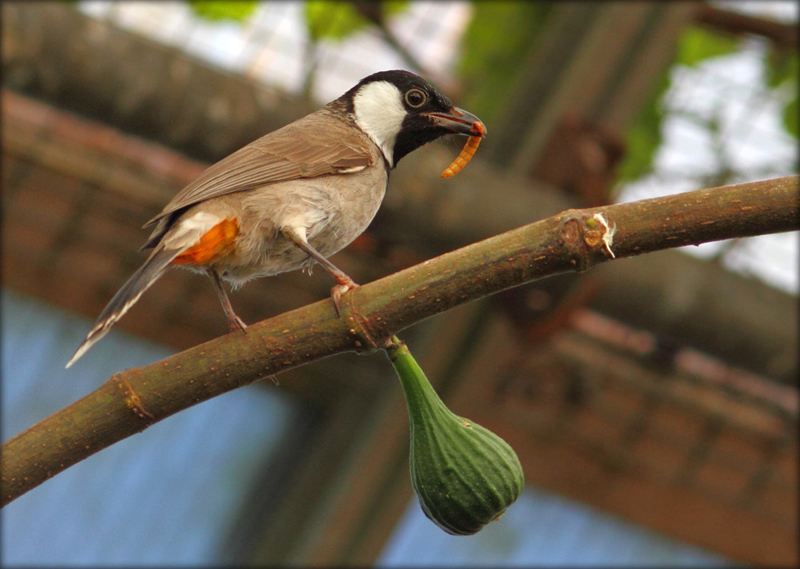 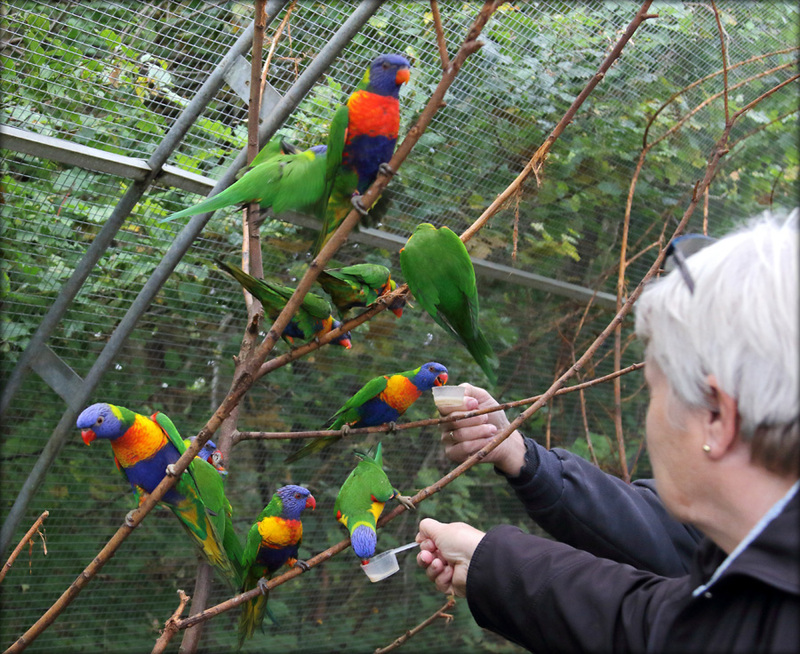 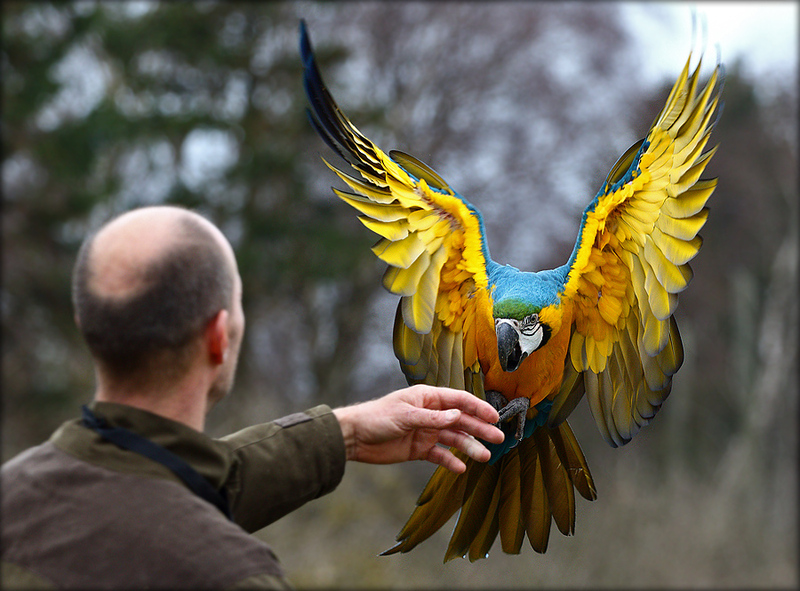 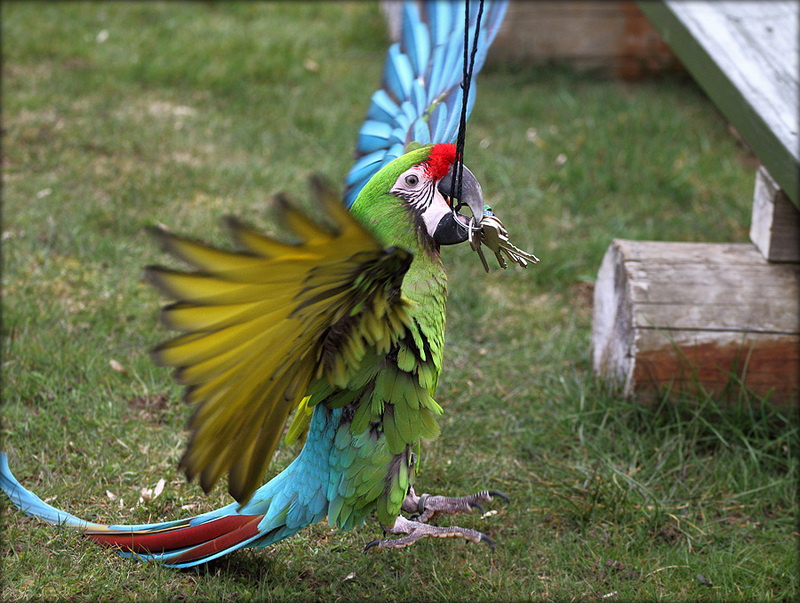 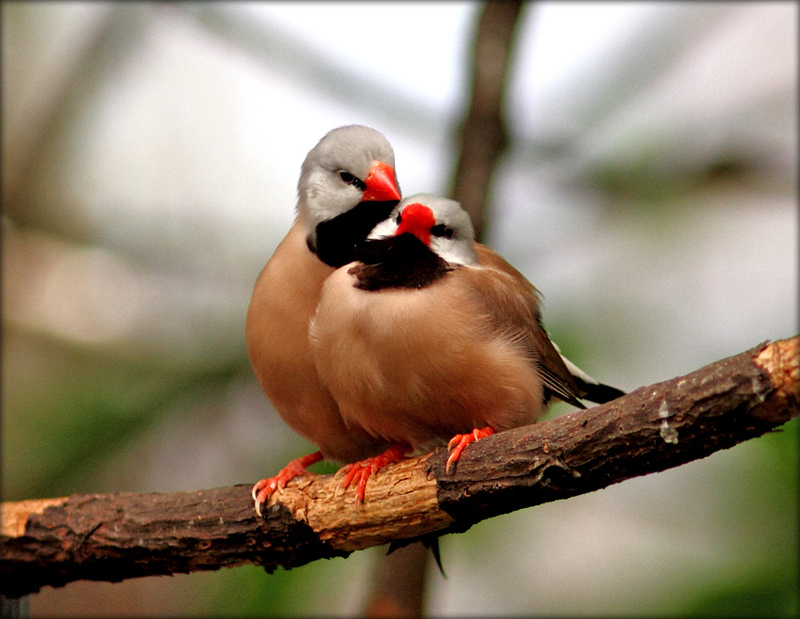 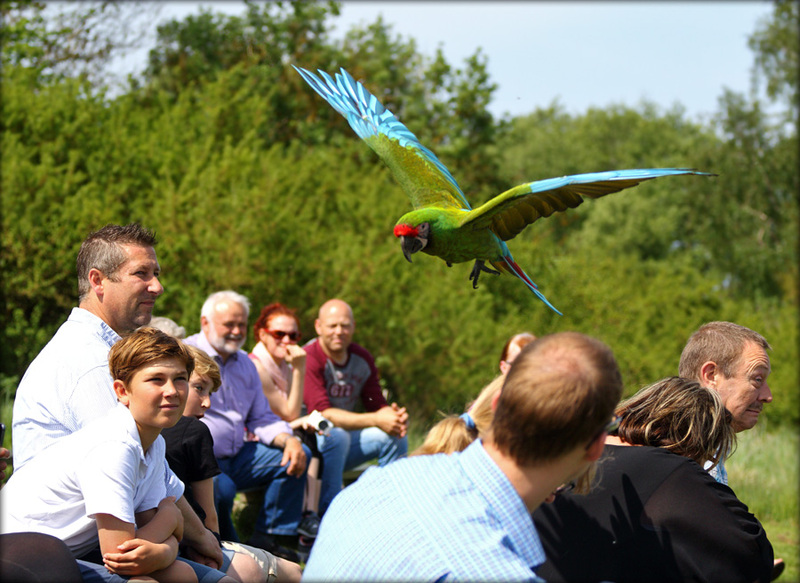 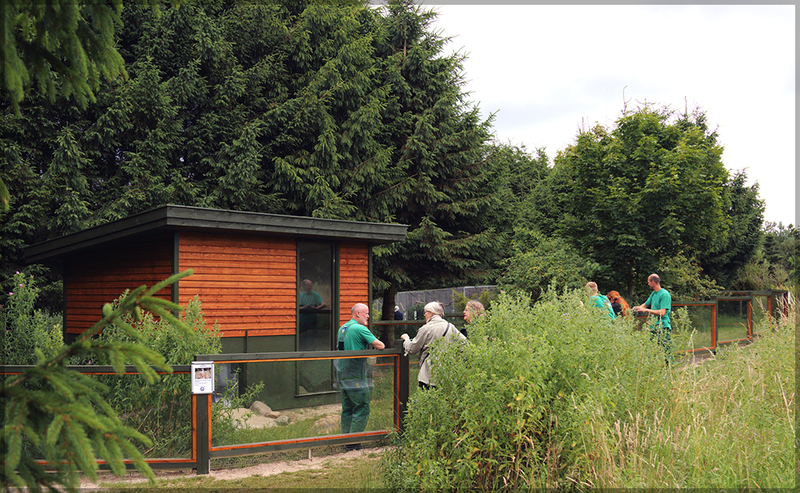 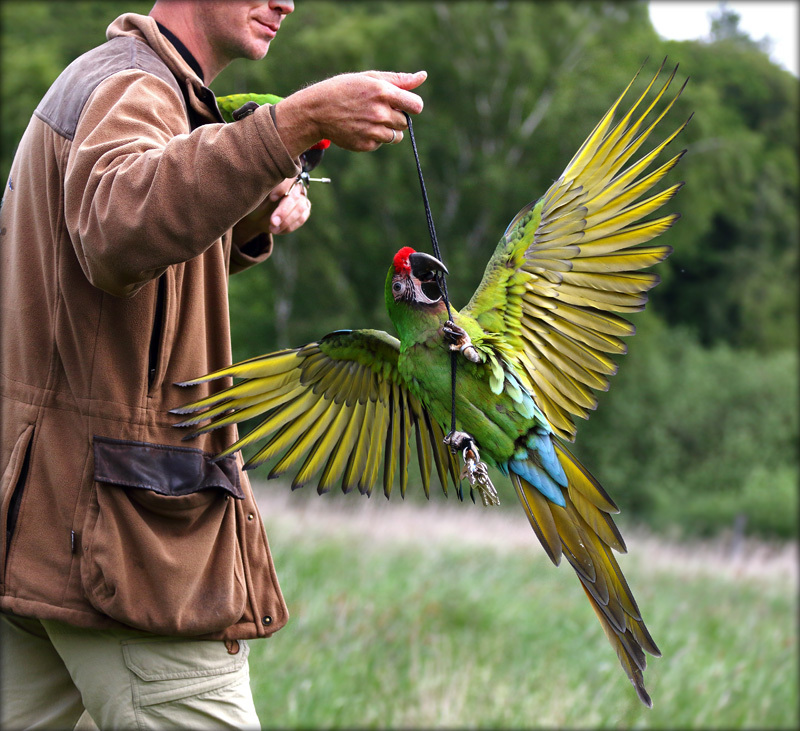 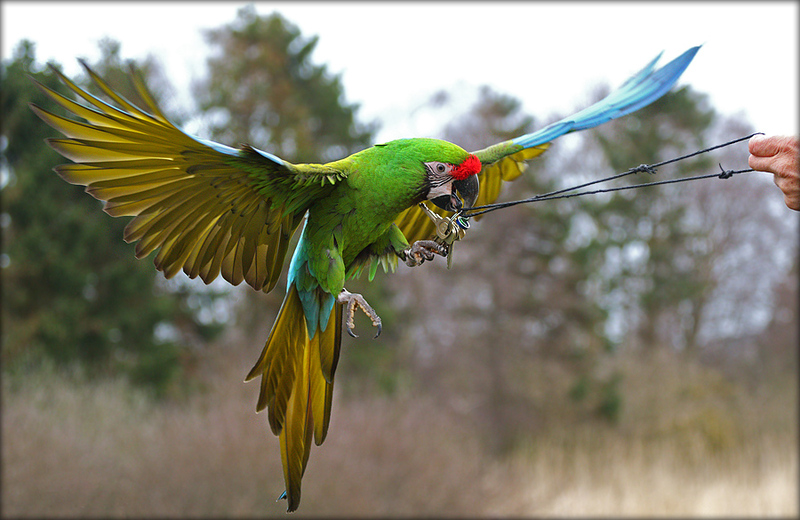 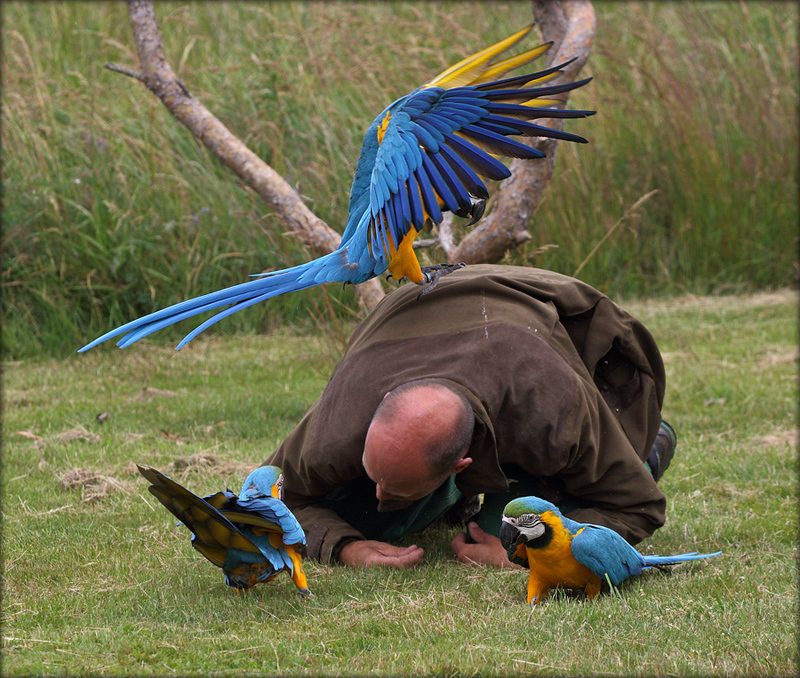 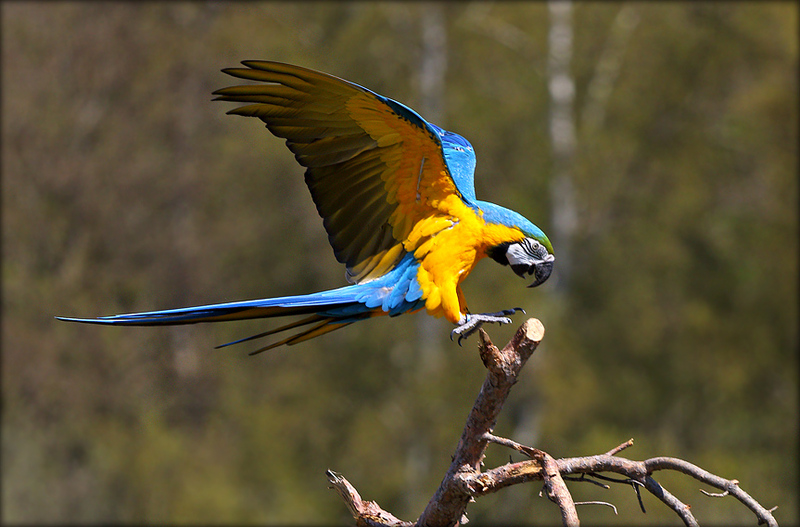 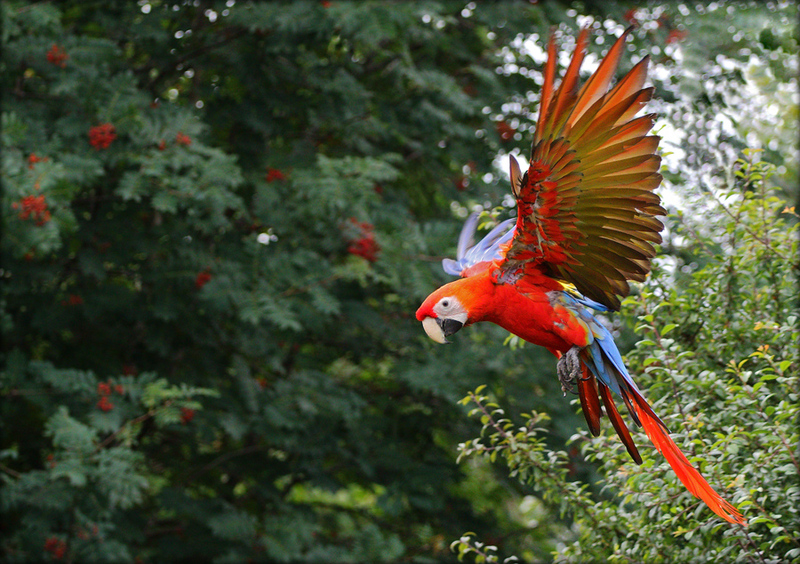 The Bird Park is situated in the middle of the beautiful nature of northern Zealand with more than 2000 birds from around the world. 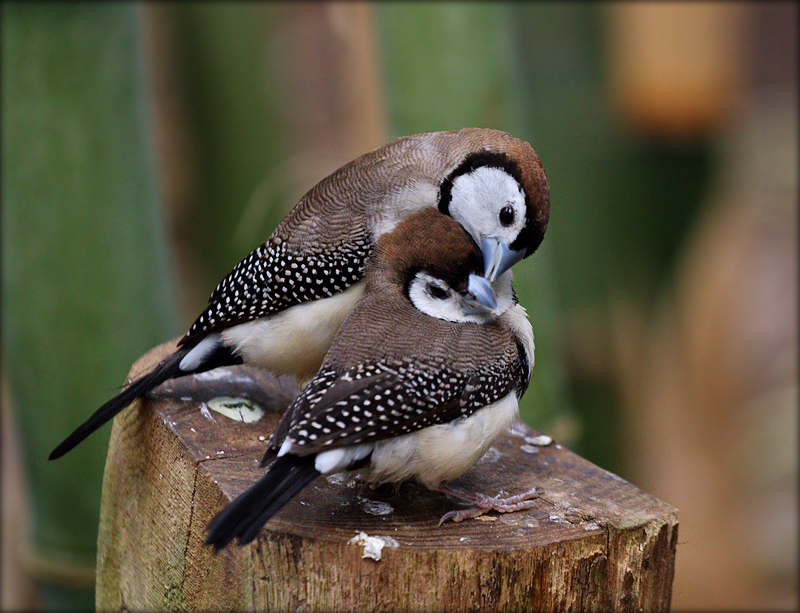 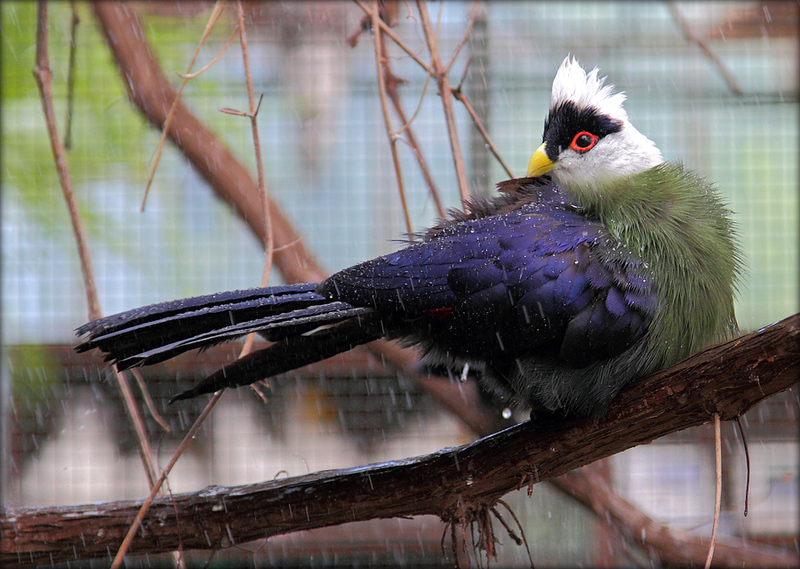 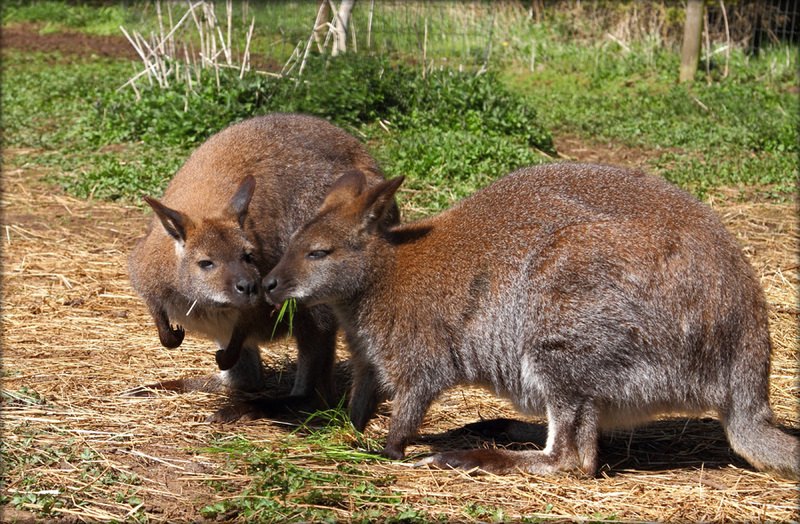 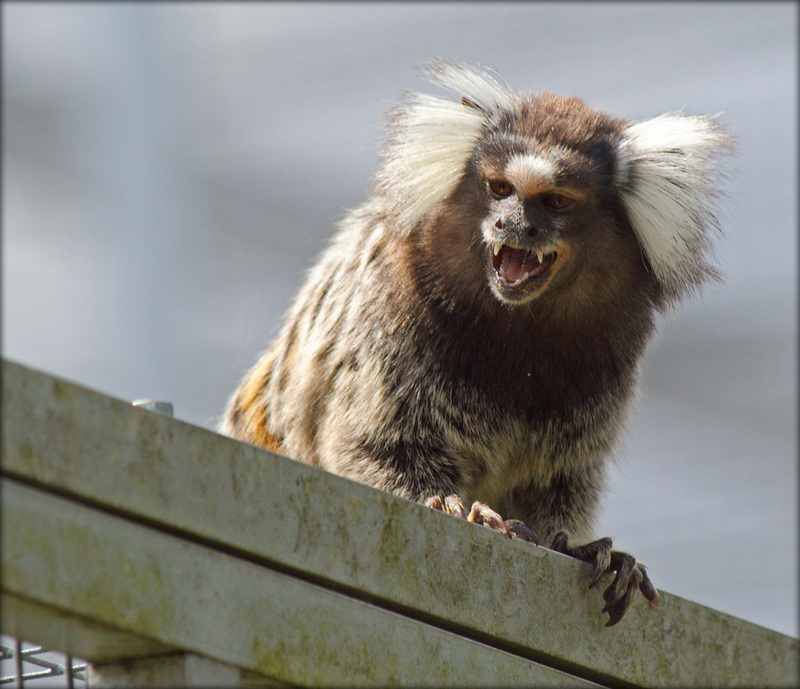 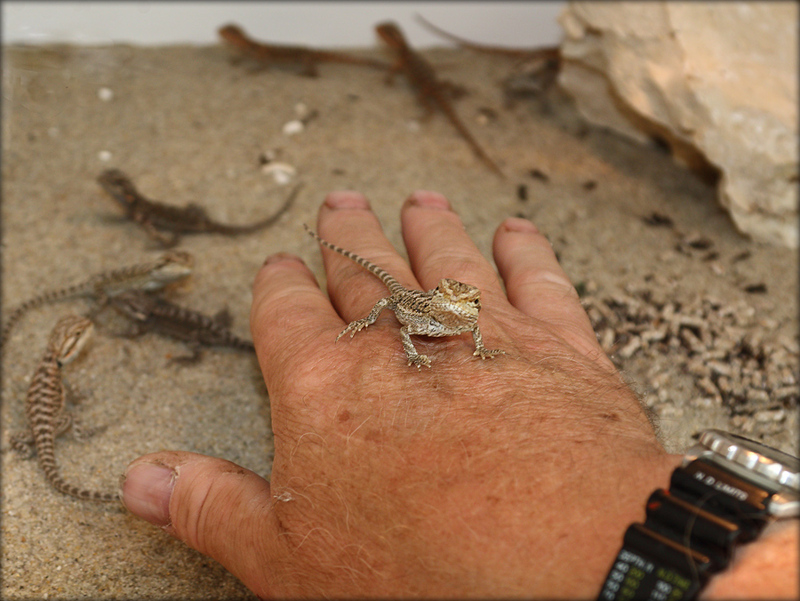 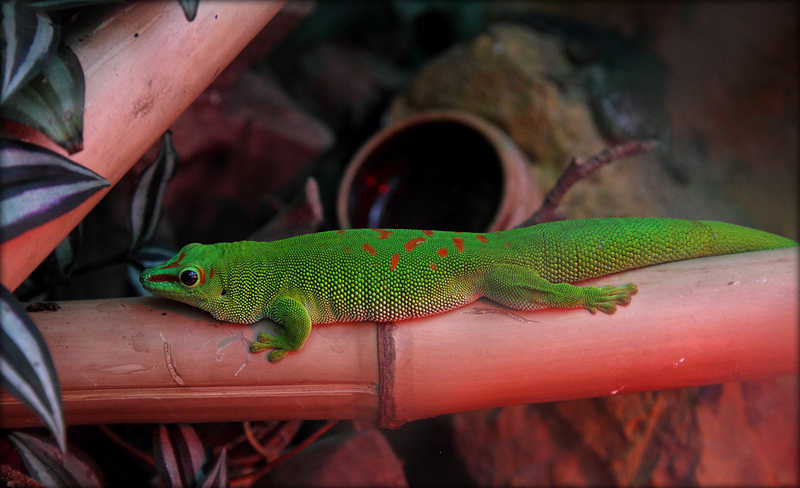 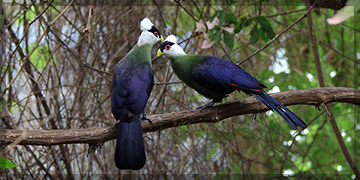 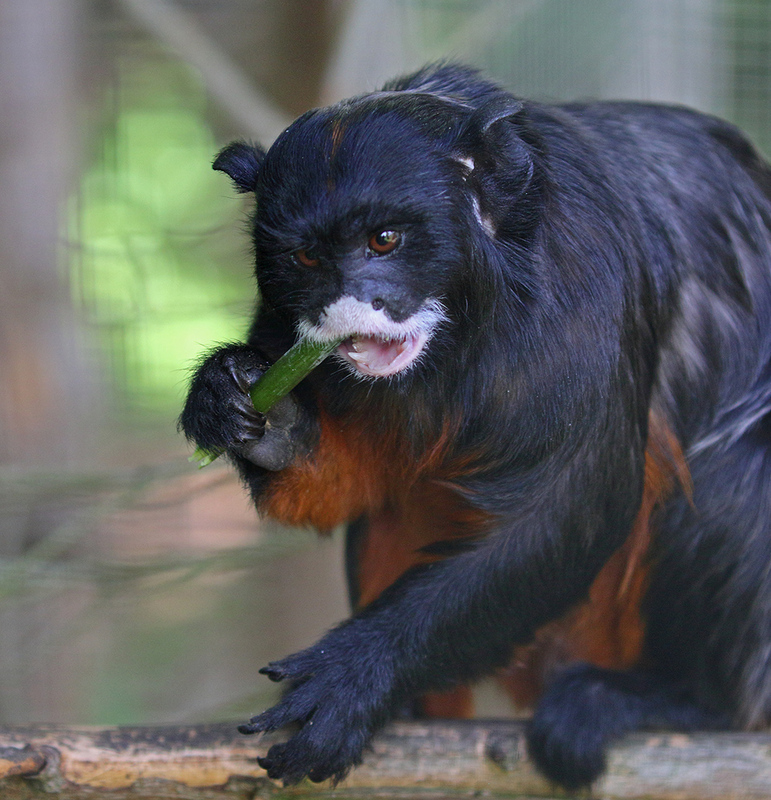 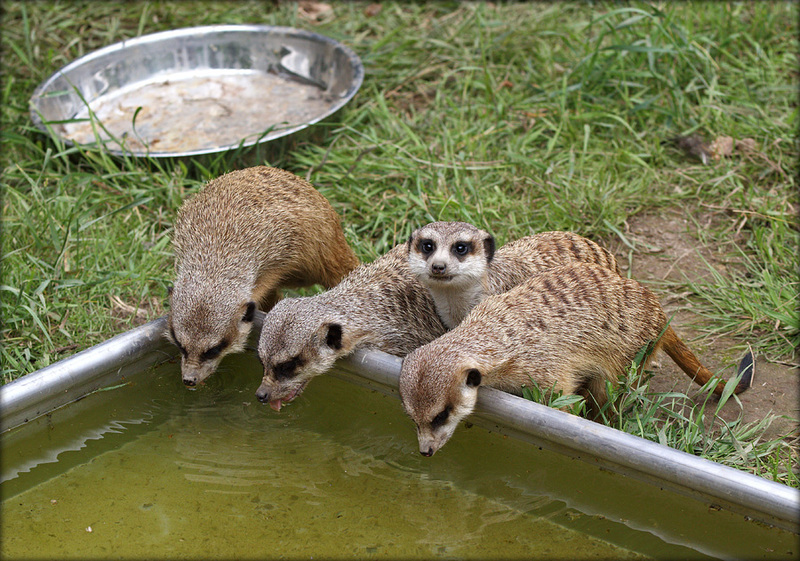 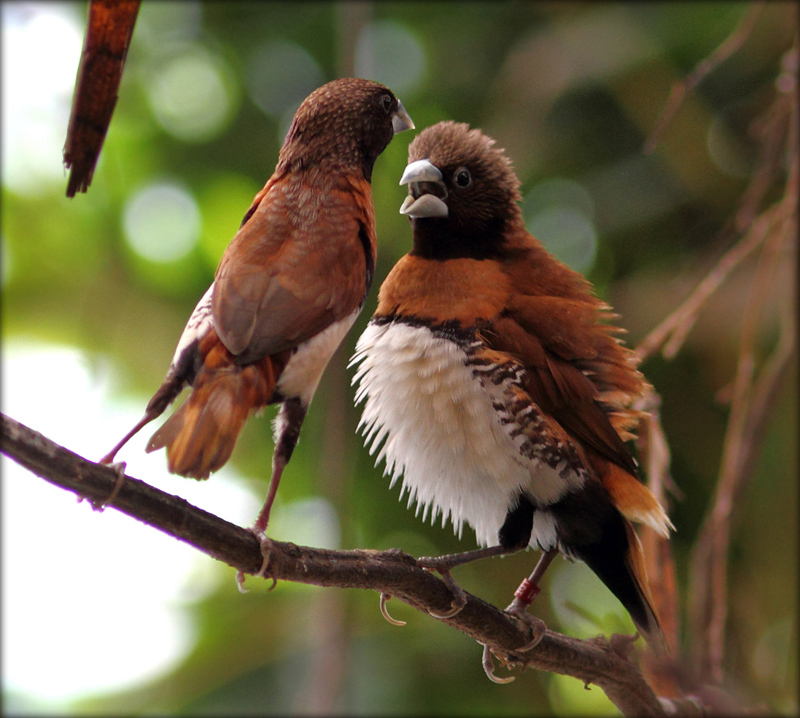 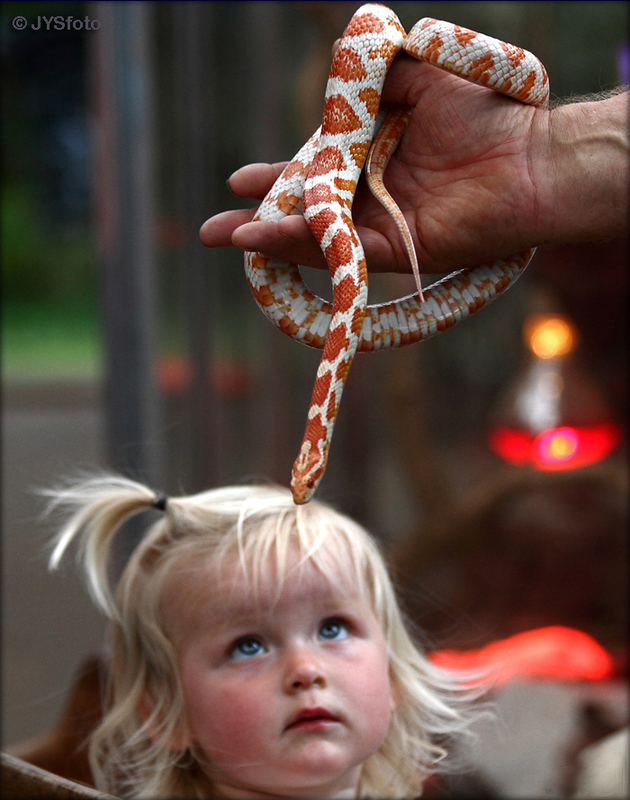 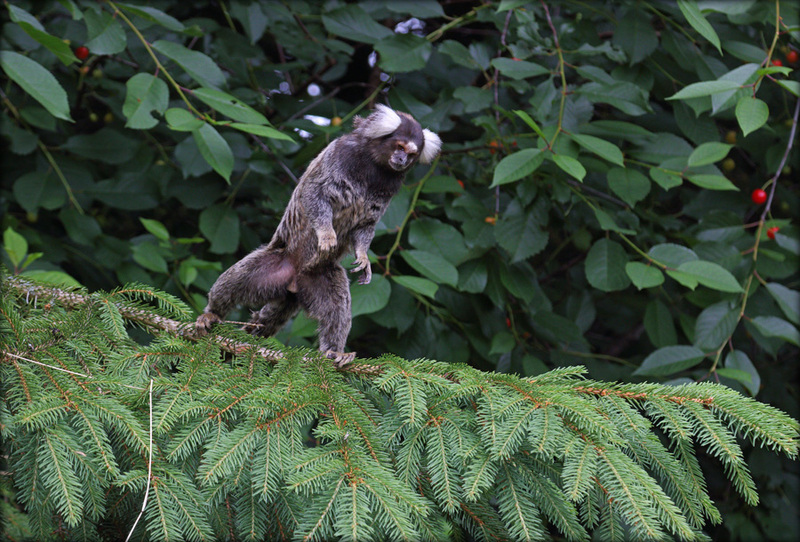 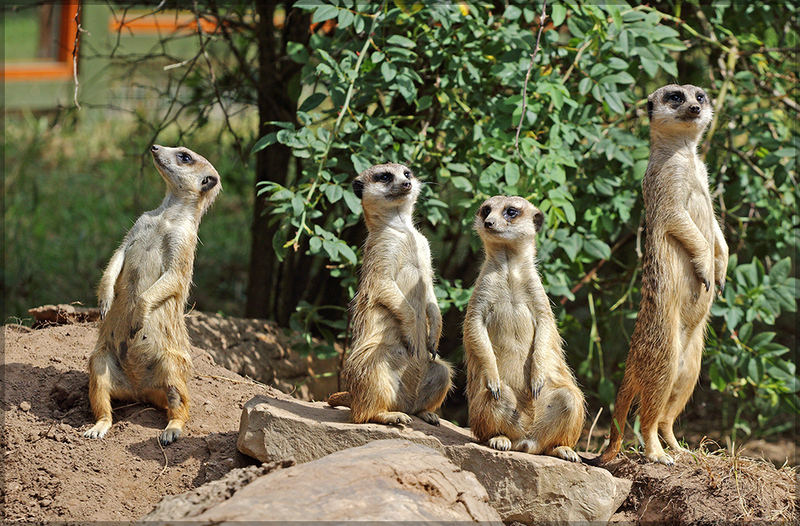 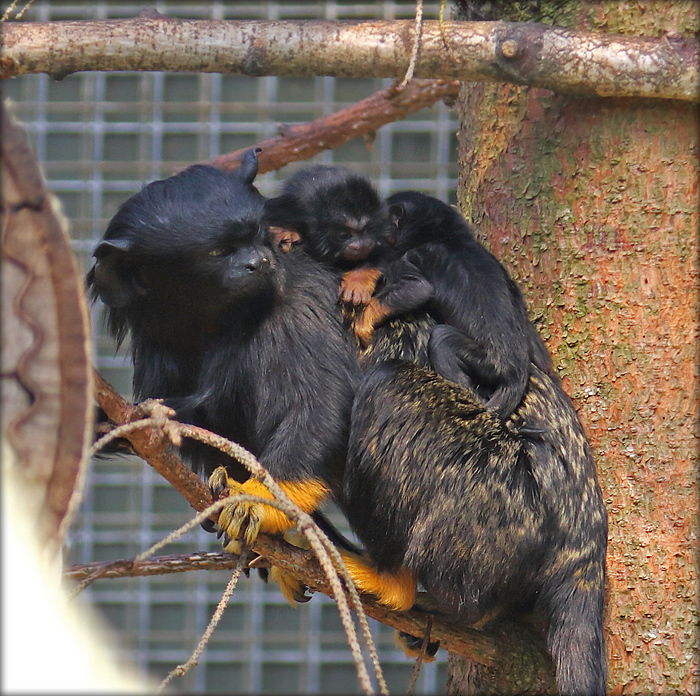 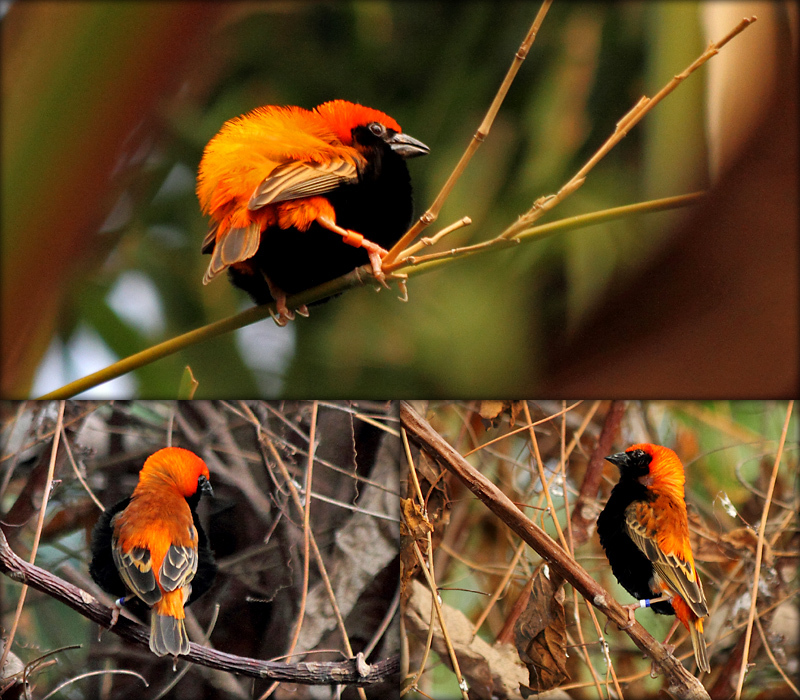 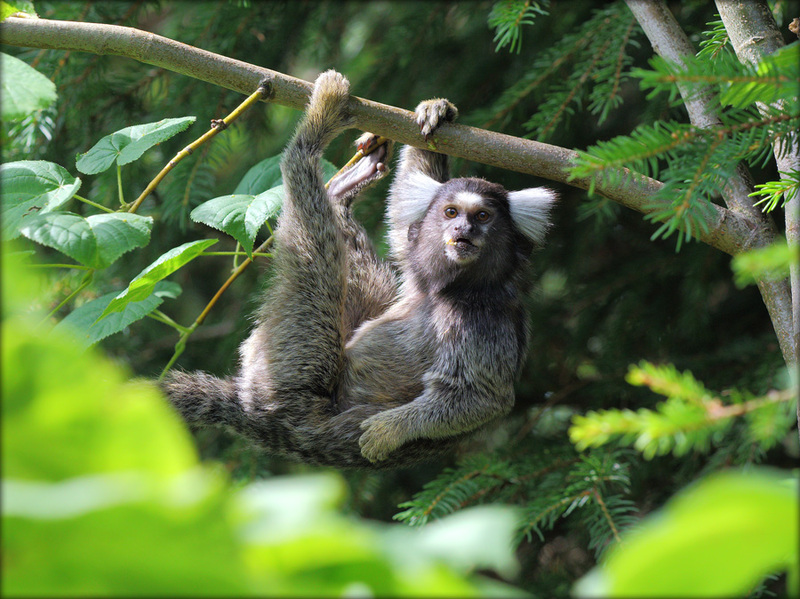 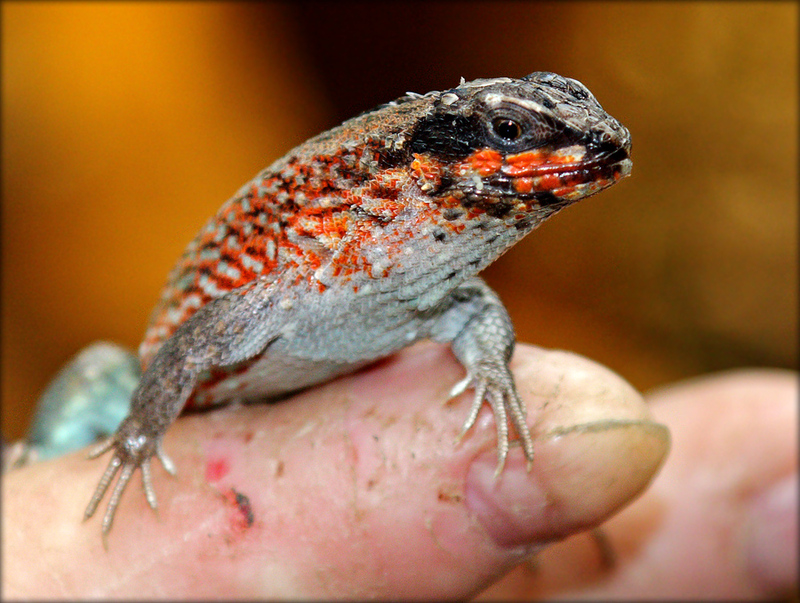 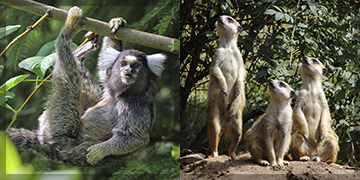 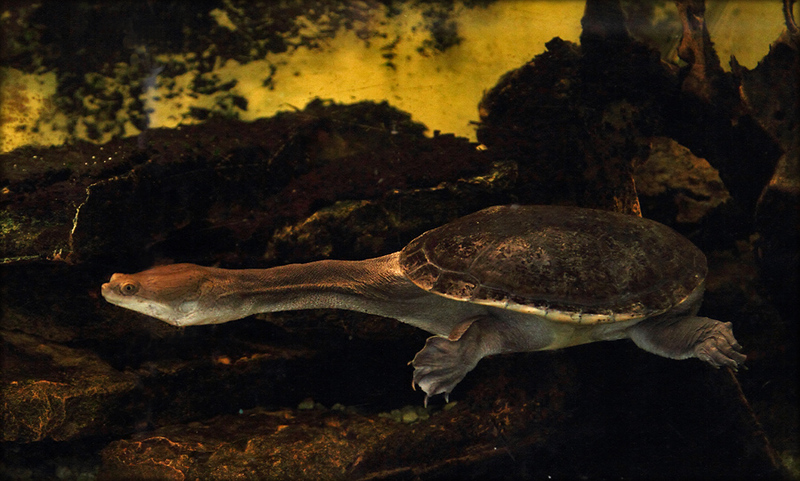 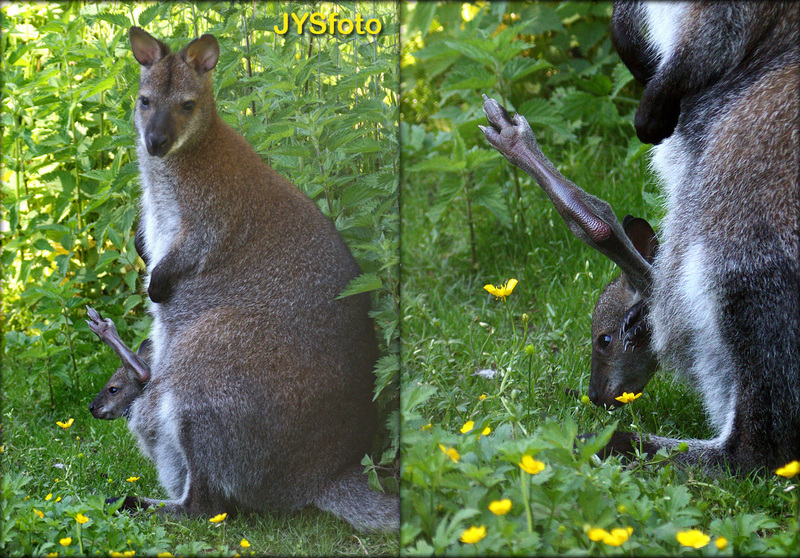 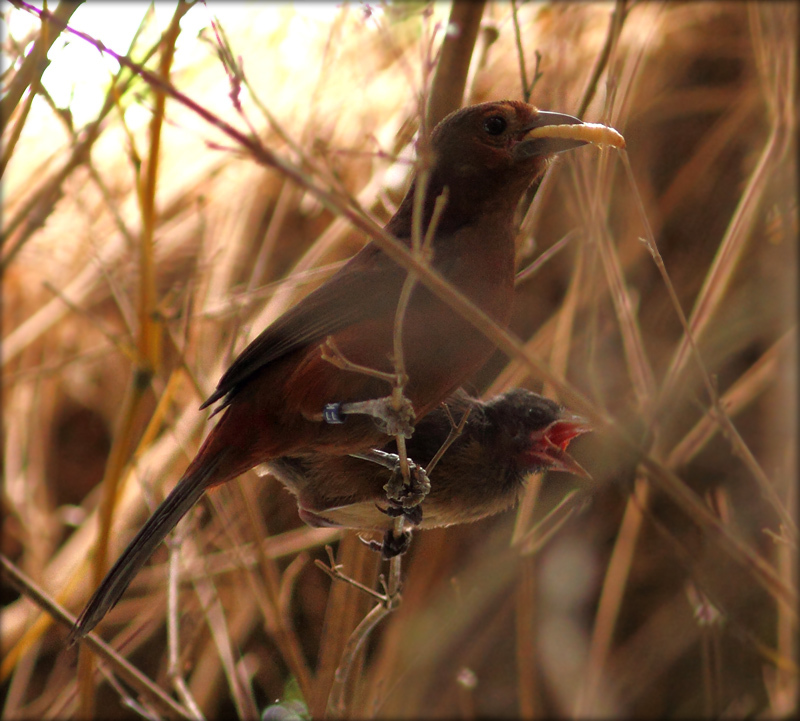 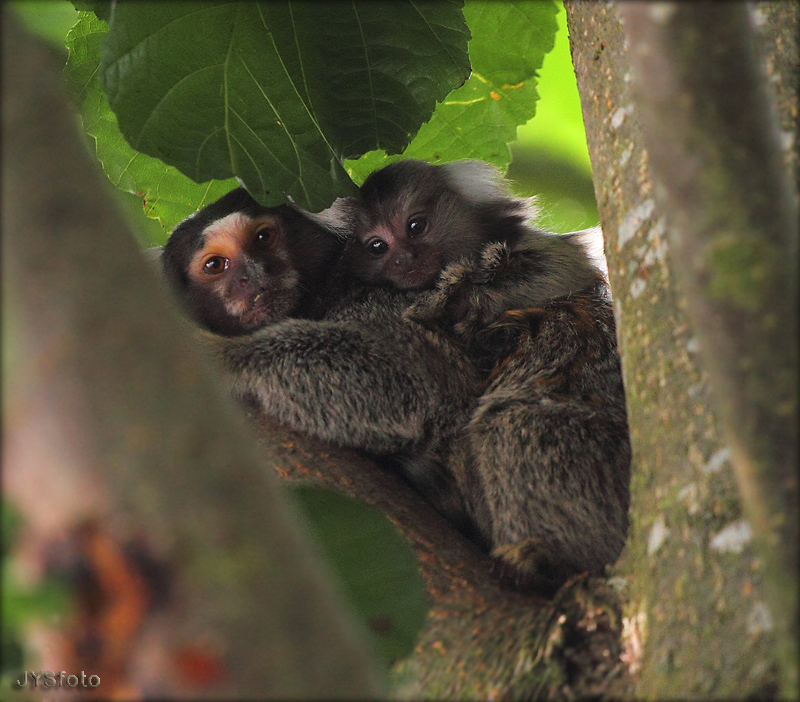 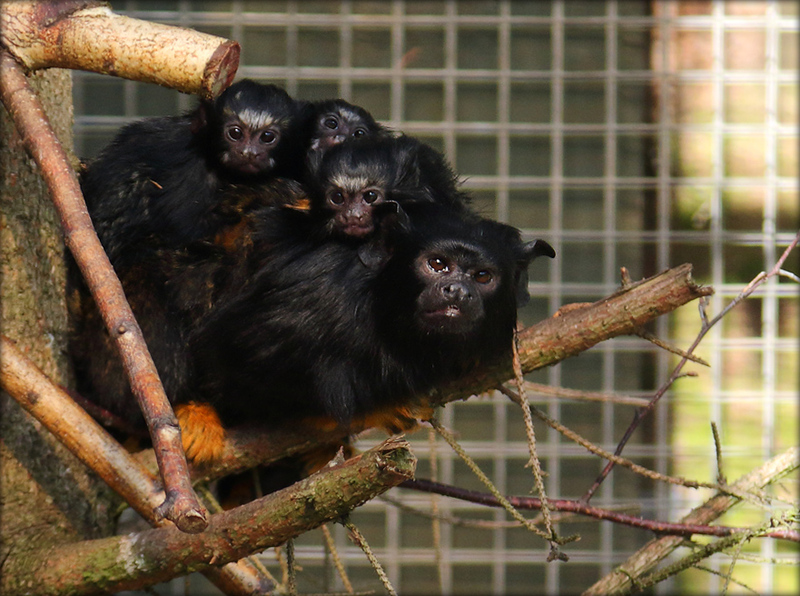 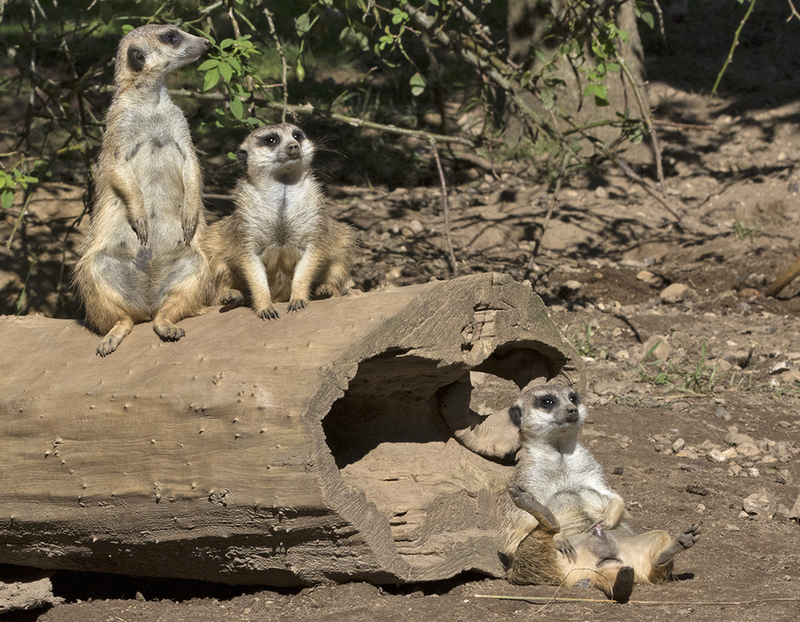 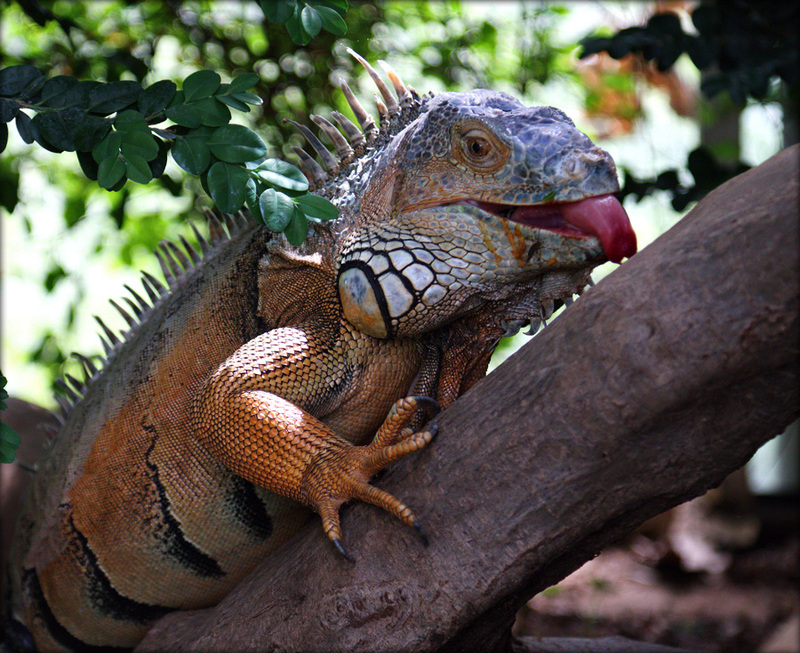 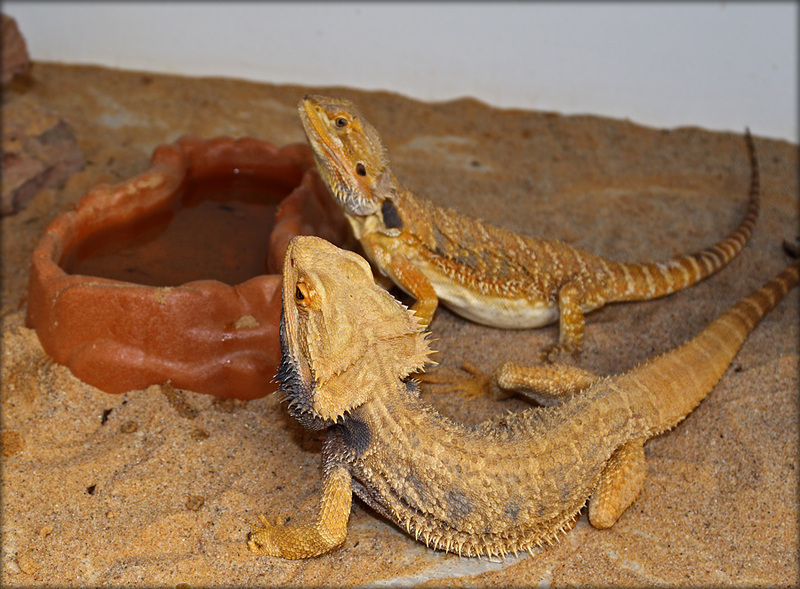 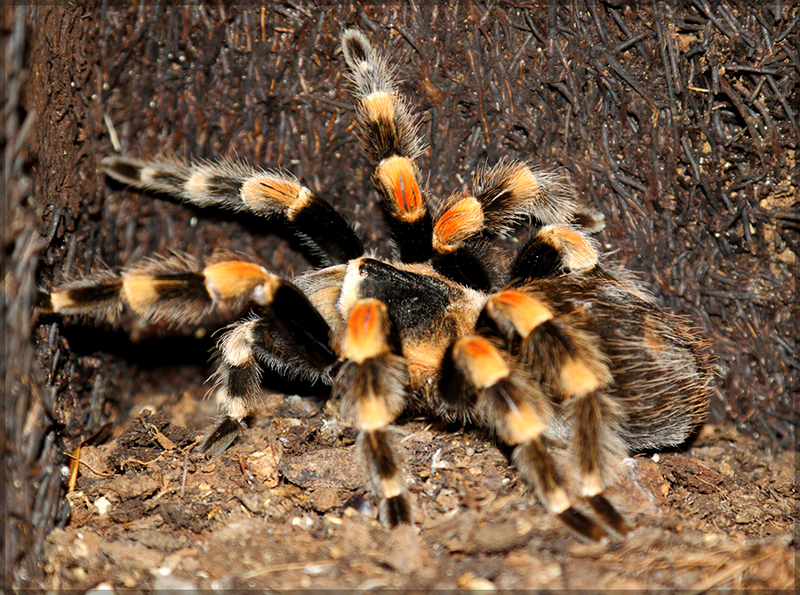 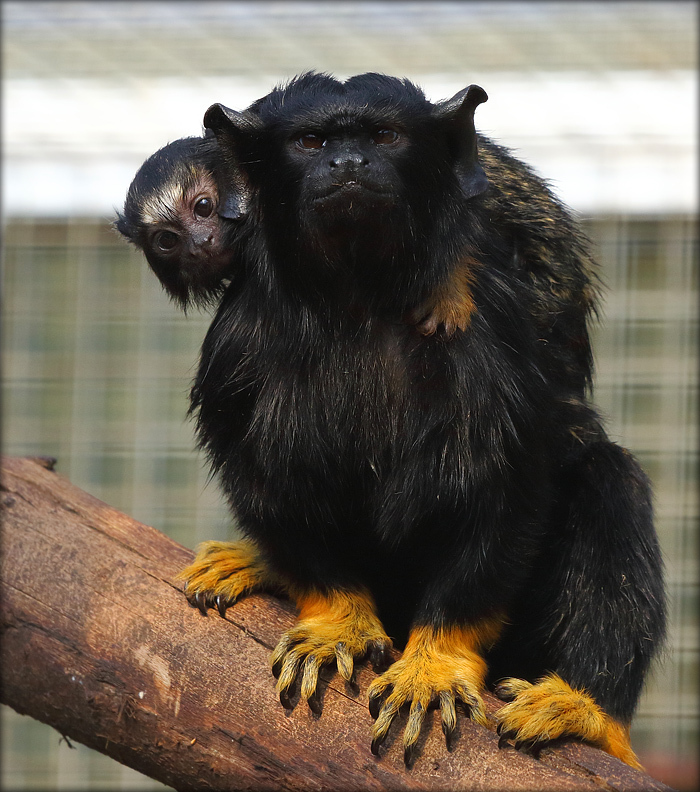 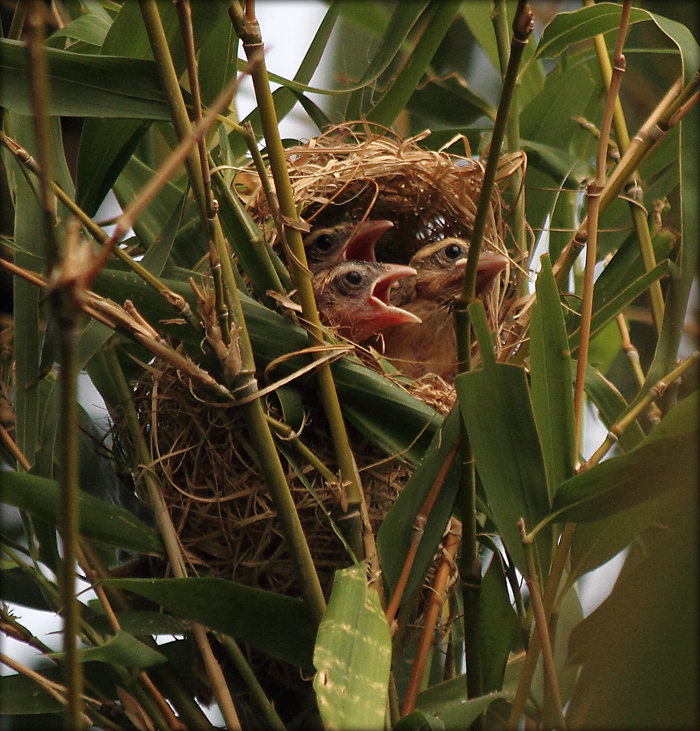 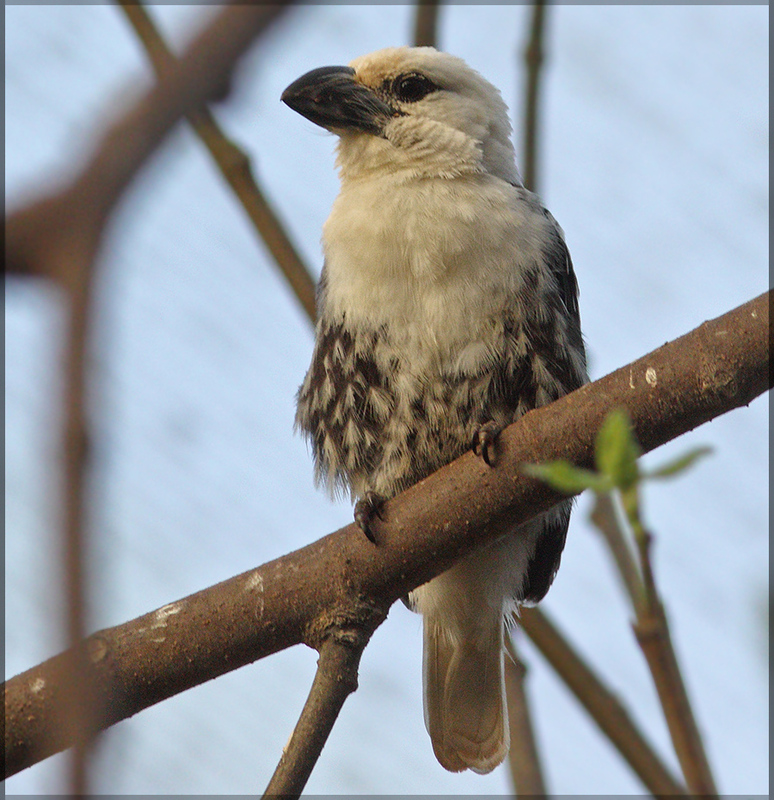 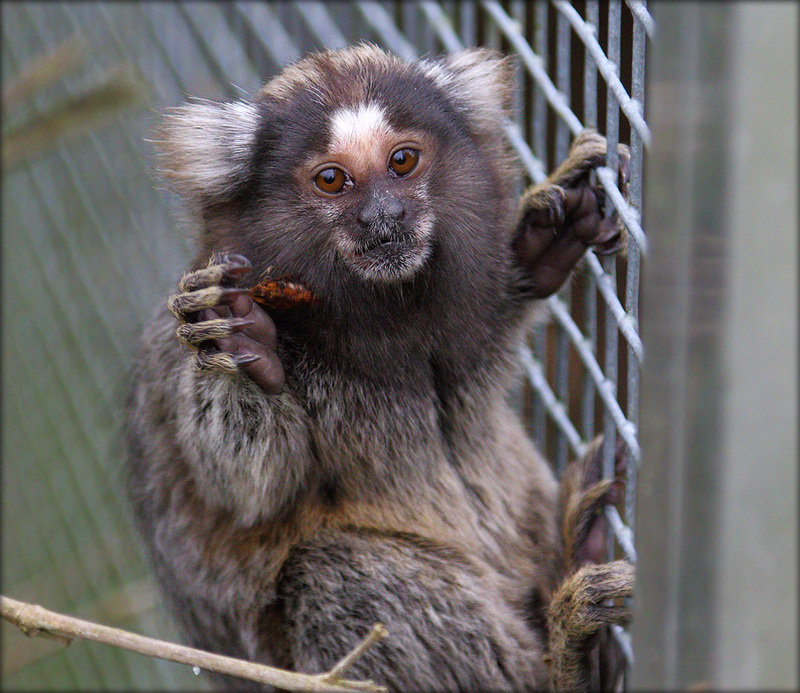 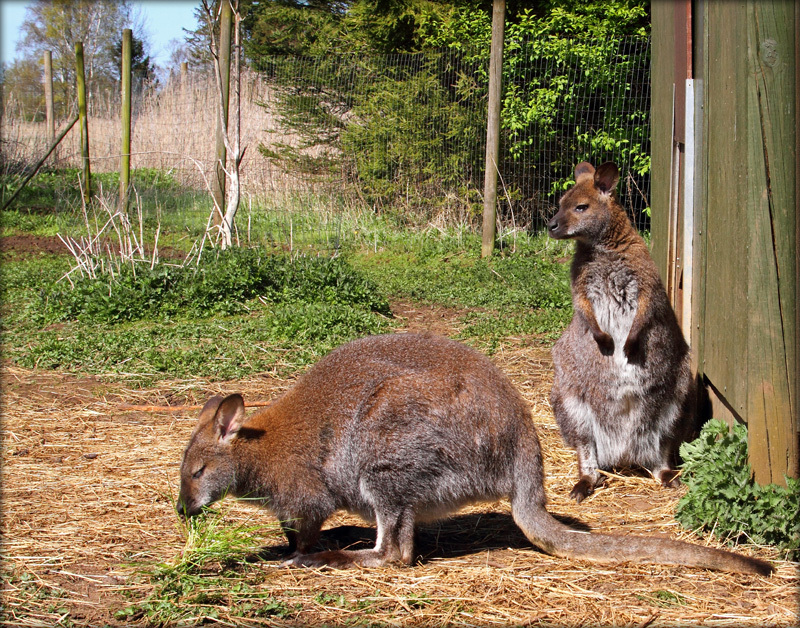 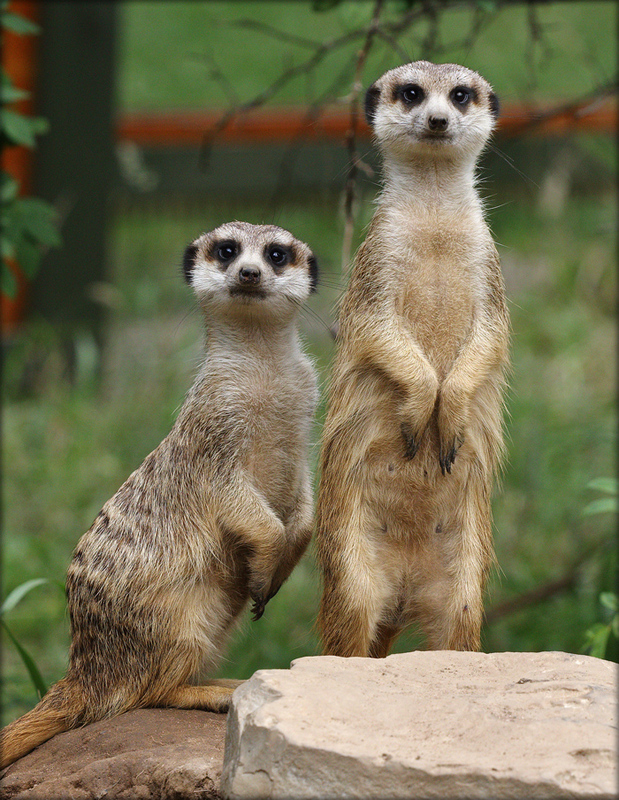 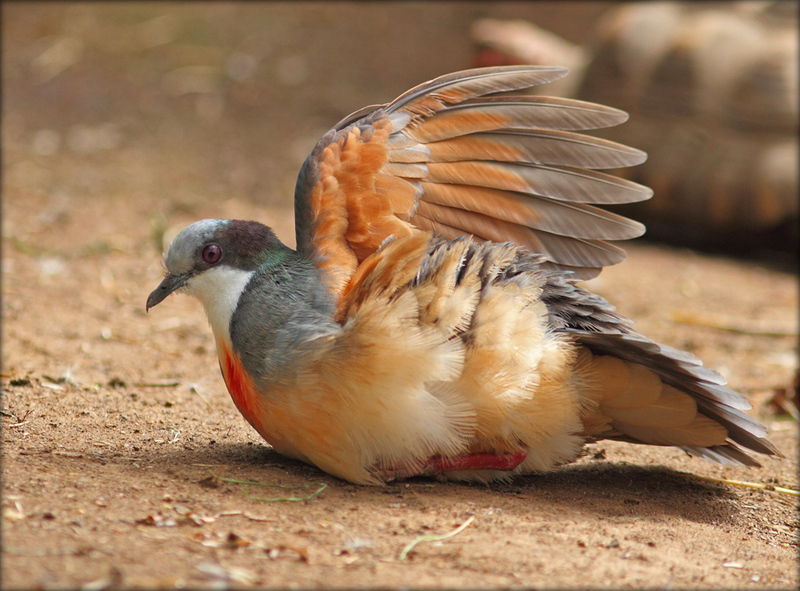 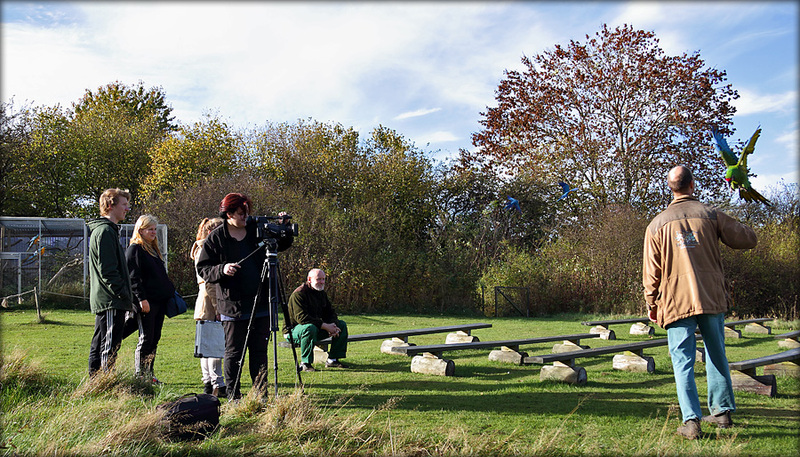 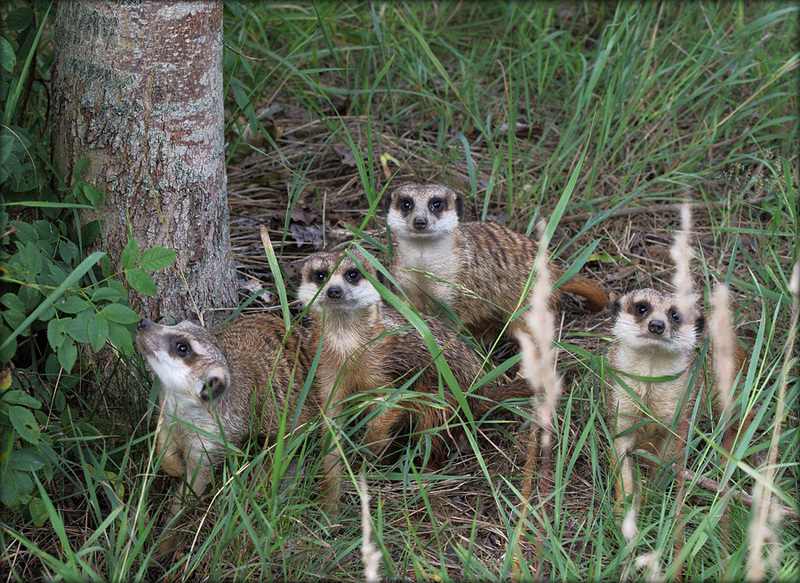 The park has Zoo status and has a collection of many small mammals, reptiles and amphibians in addition to our birds. 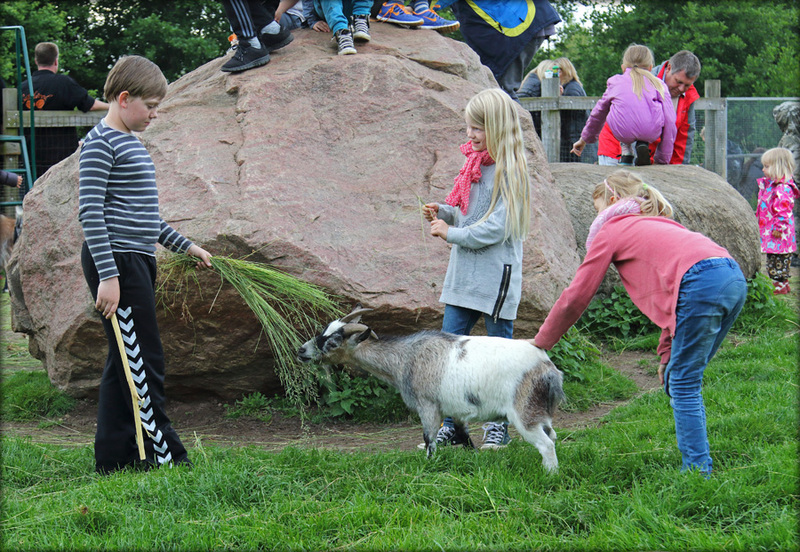 The park is open from early spring till late October, where we offer unique experiences for children, families, nature and bird lovers. 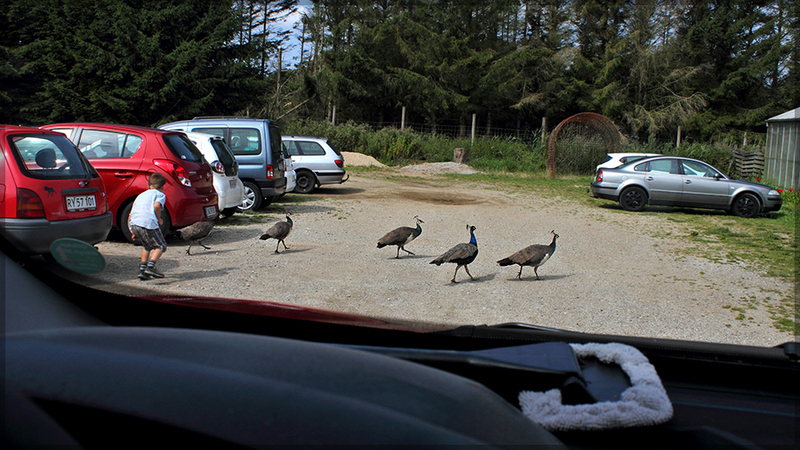 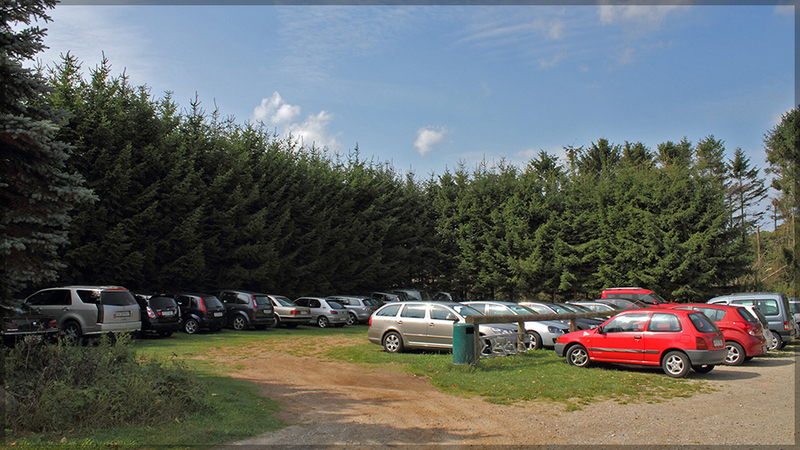 Free parking, all experiences are included in the entrance fee, and you can bring your own picnic basket. 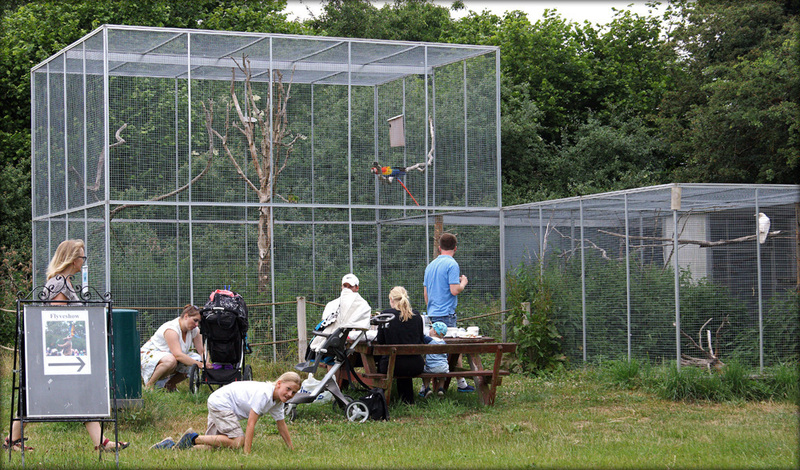 Out of consideration for our birds and animals it is not allowed to bring dogs into the Bird Zoo. 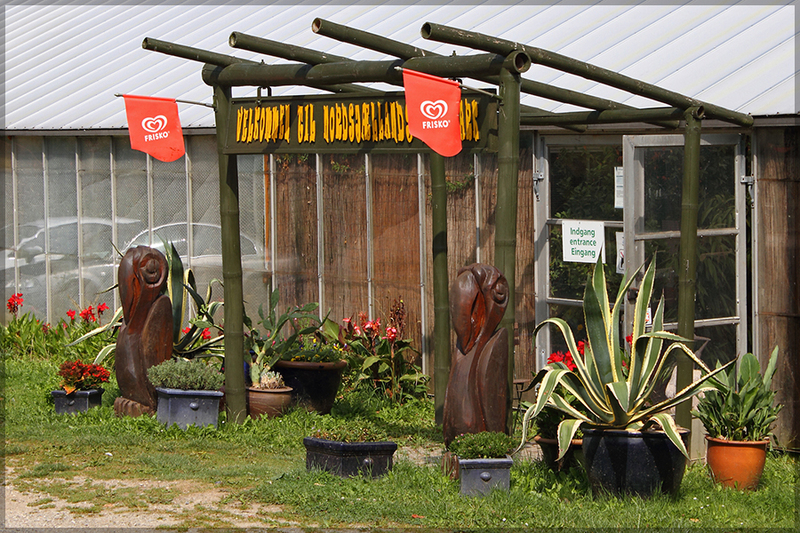 We are open from 10am - 5pm every weekend and all holidays until June 1st. 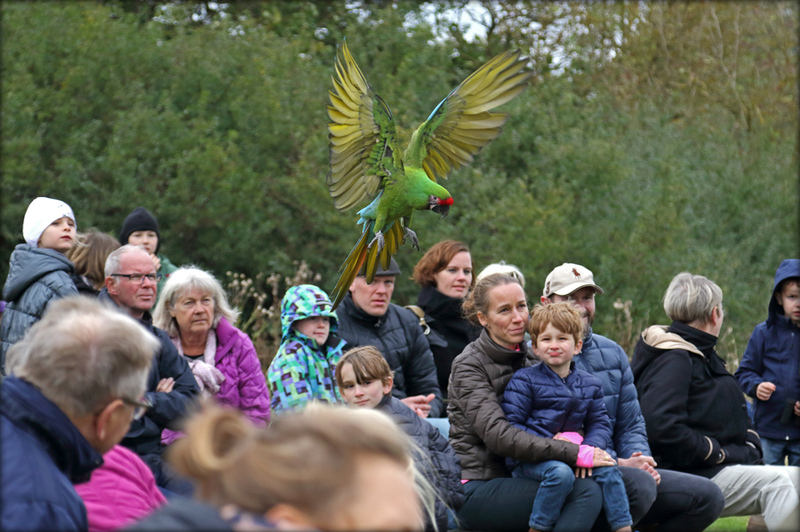 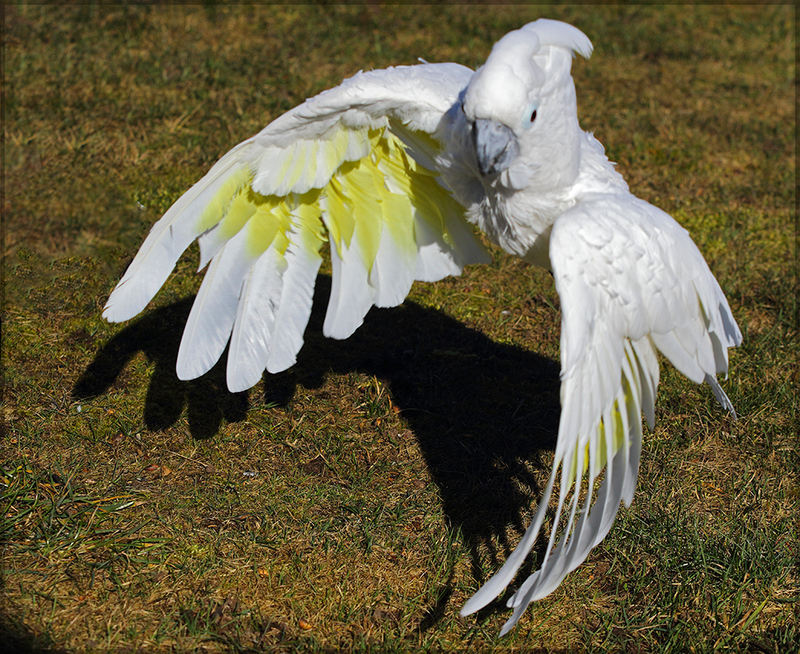 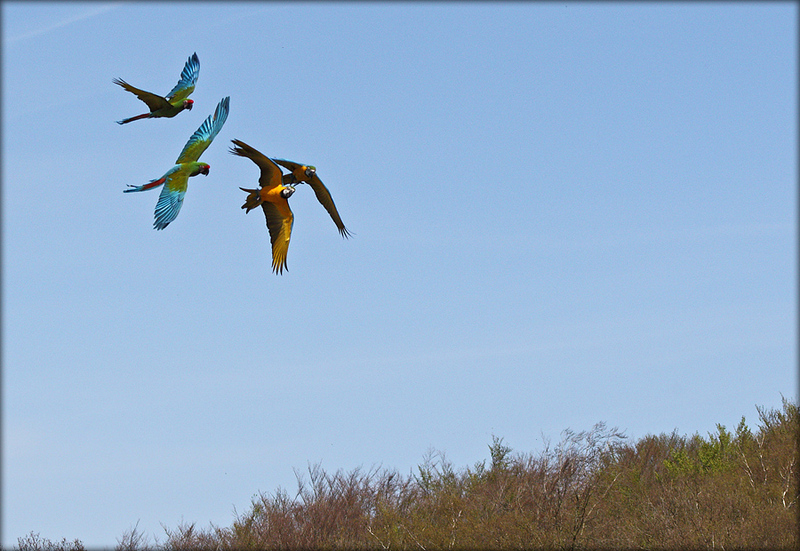 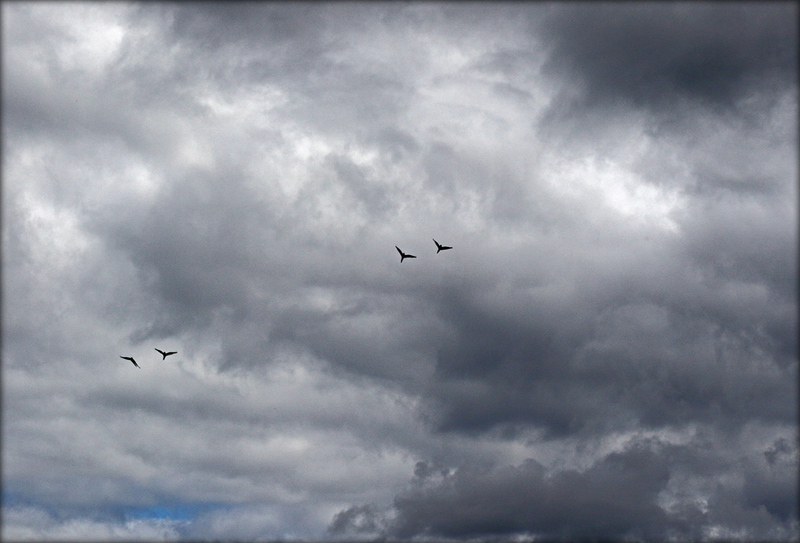 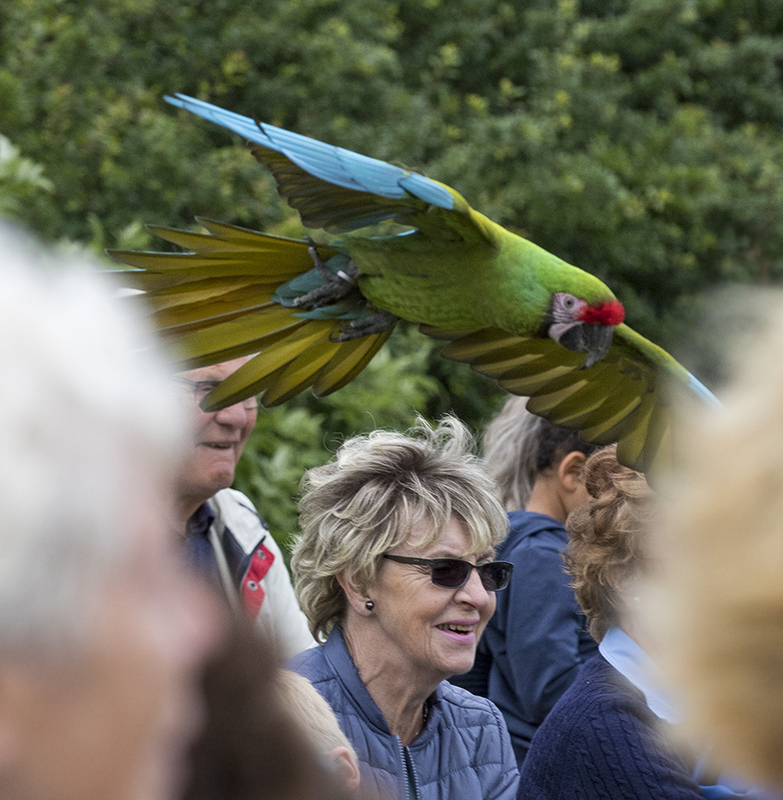 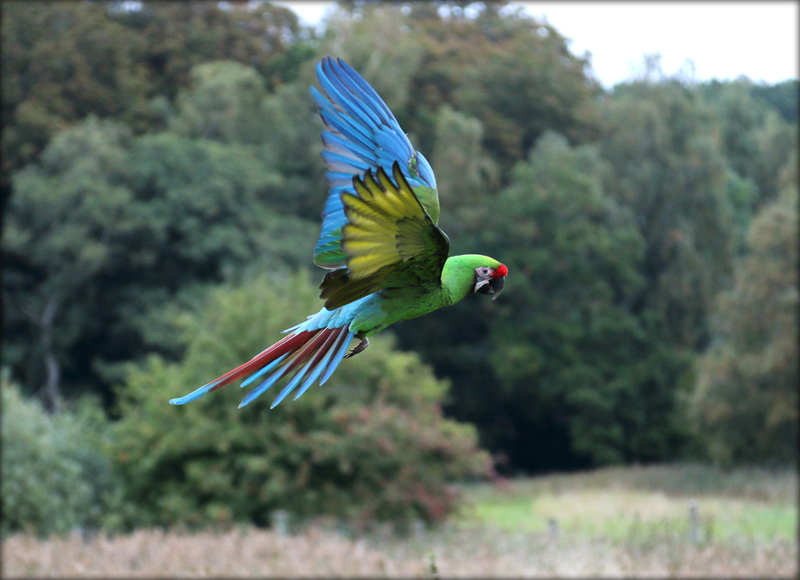 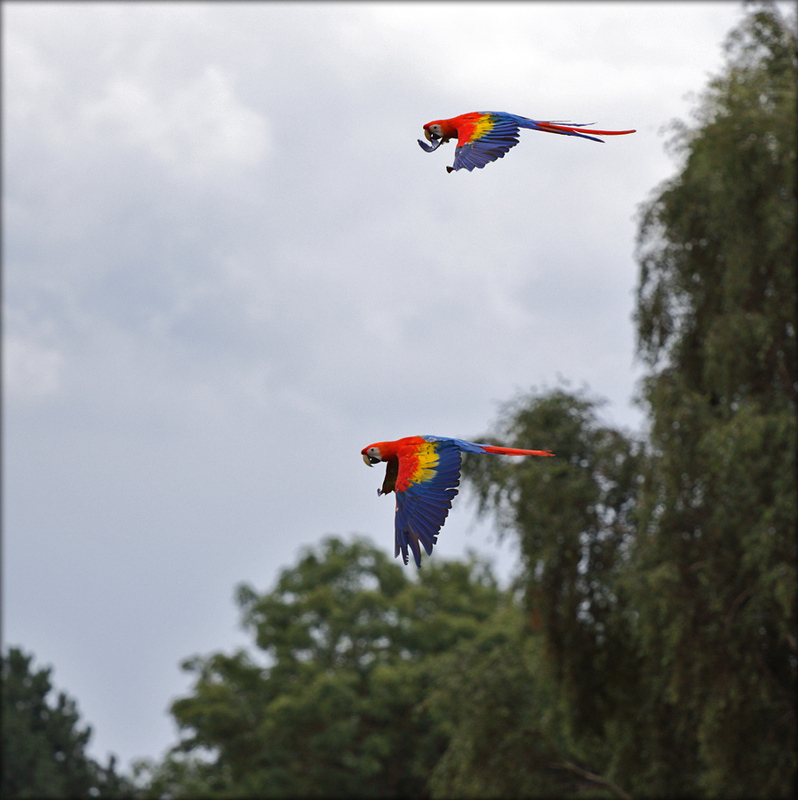 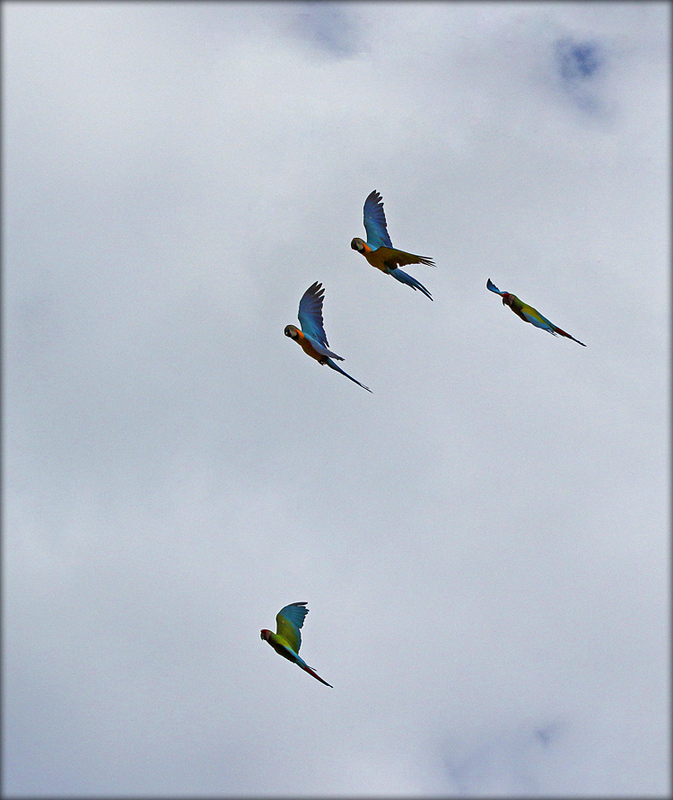 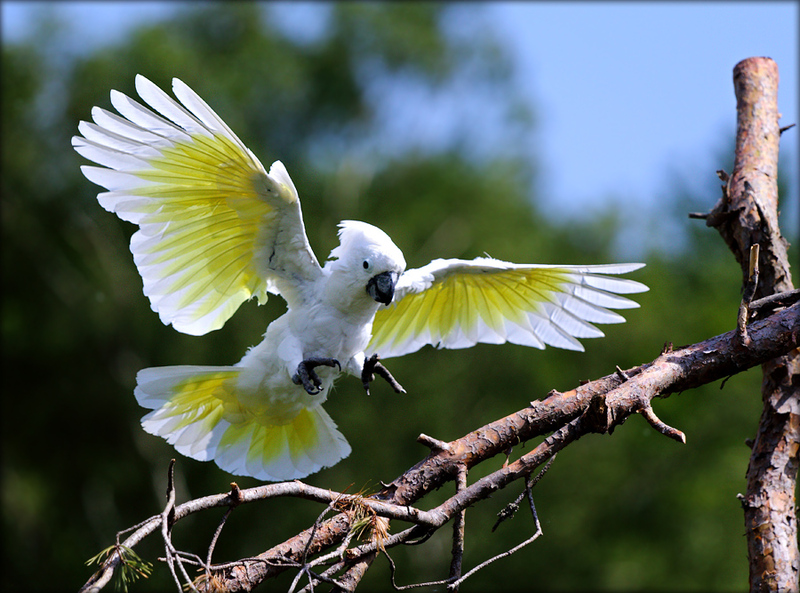 Every day at 12:30 we have an air show with Ara Parrots and Cockatoos flying out over the meadows at the far end of the Bird Park. 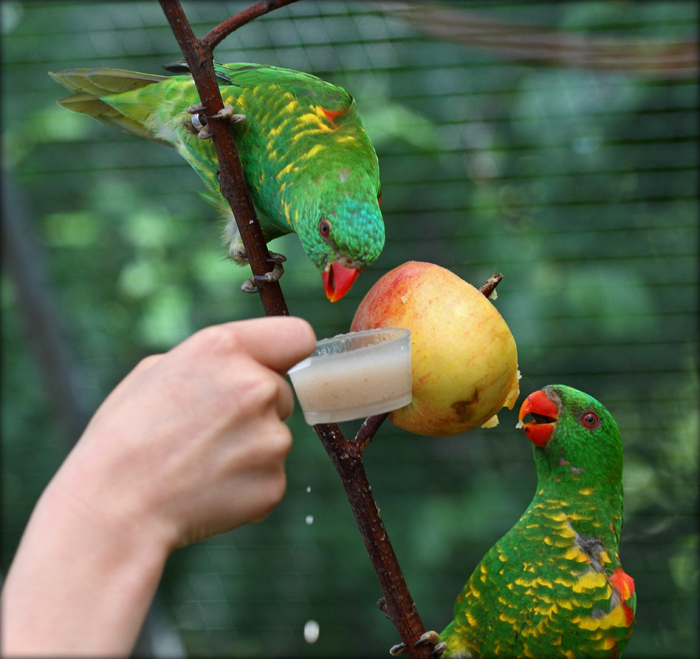 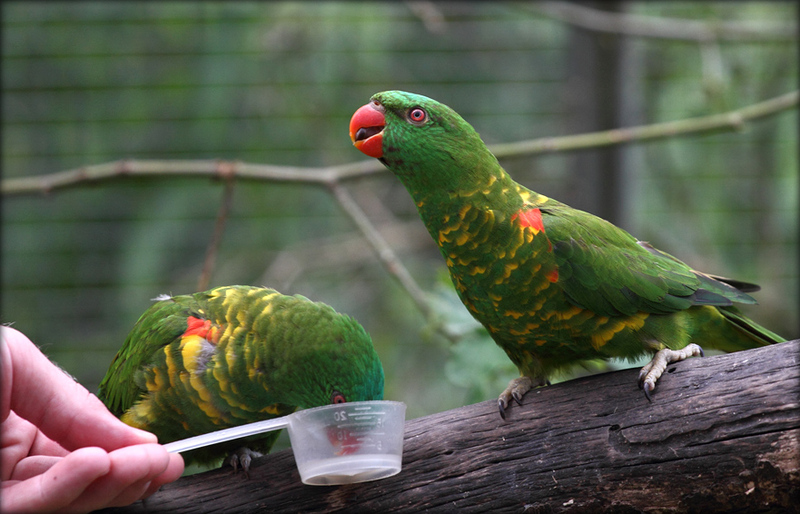 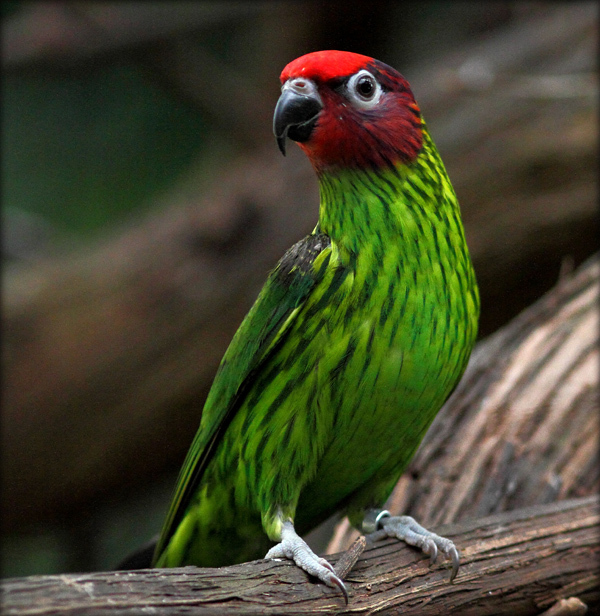 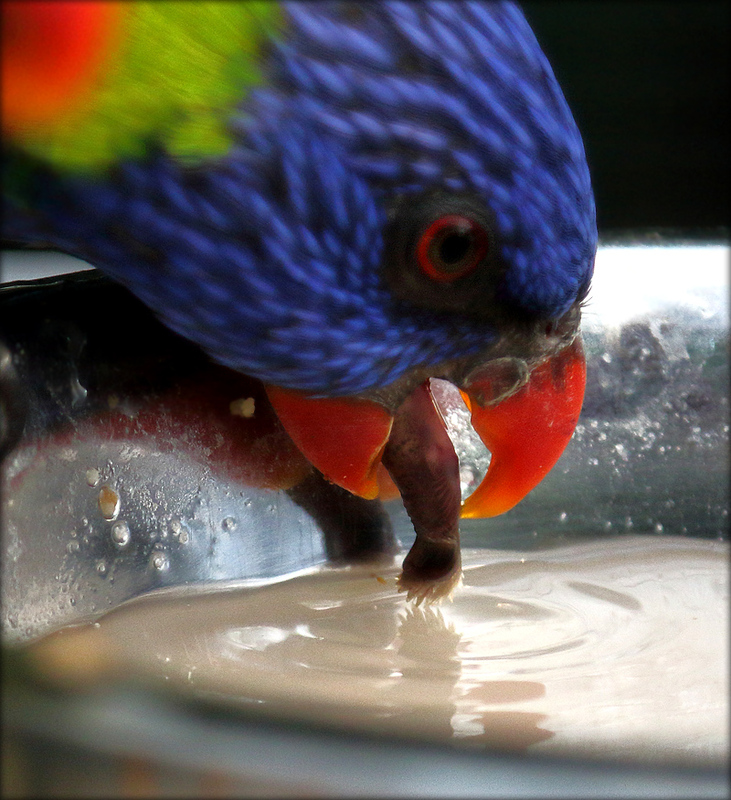 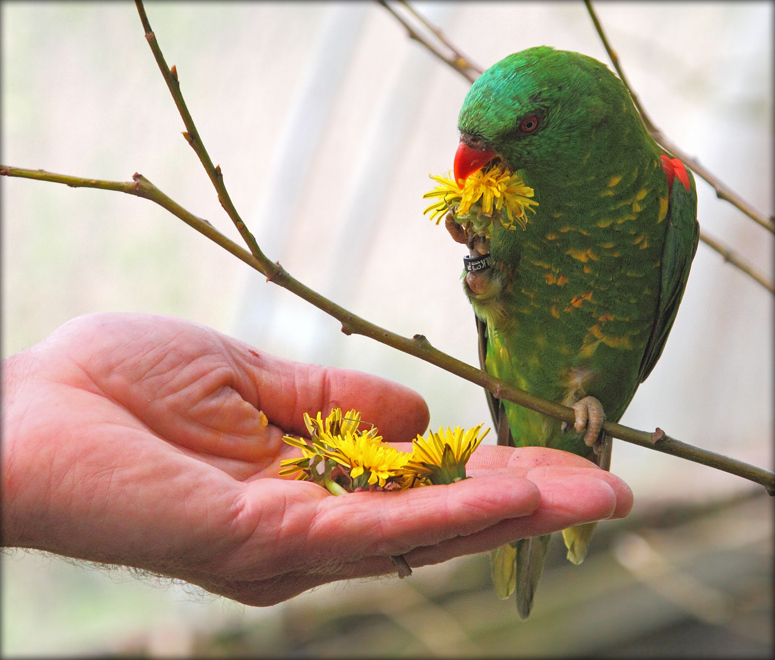 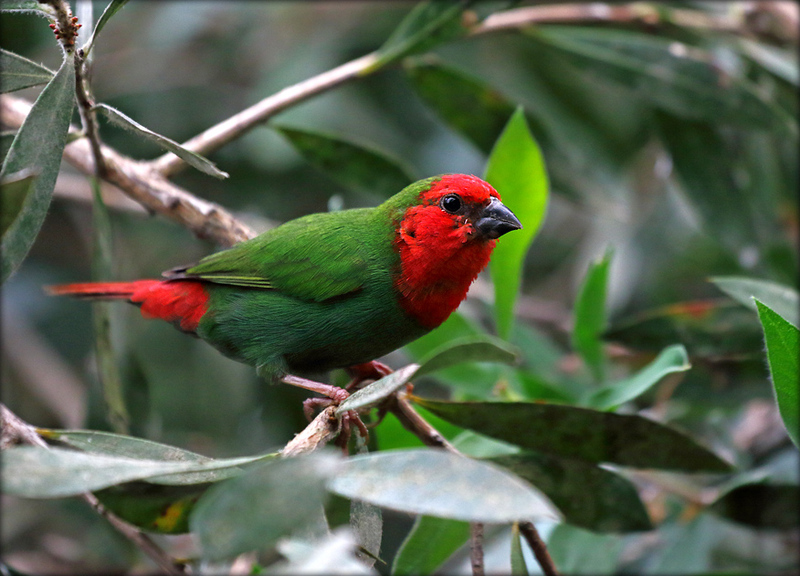 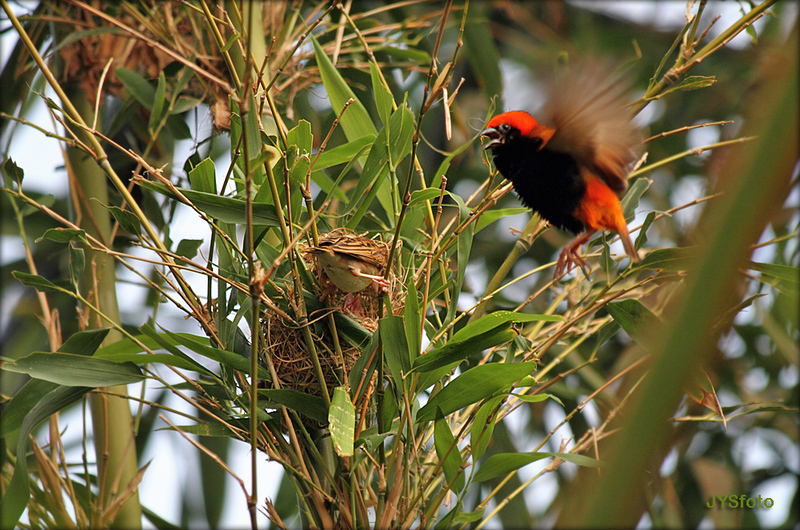 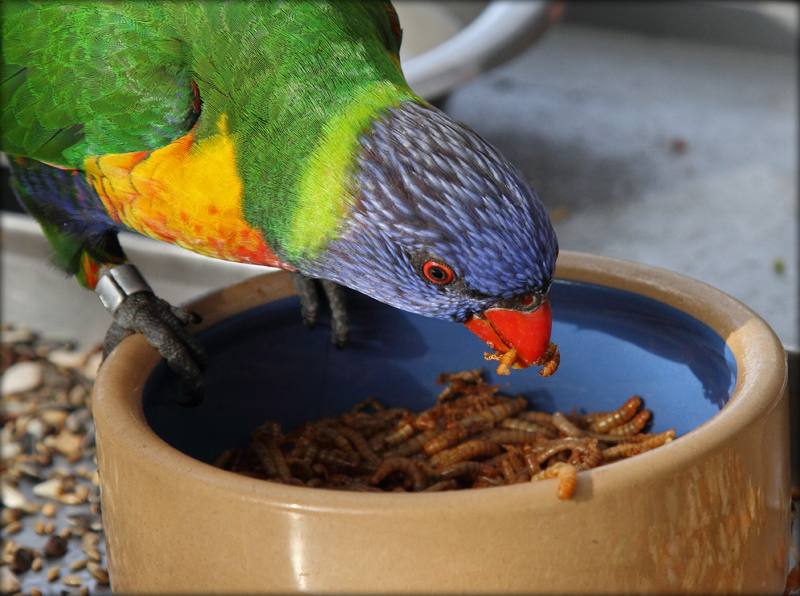 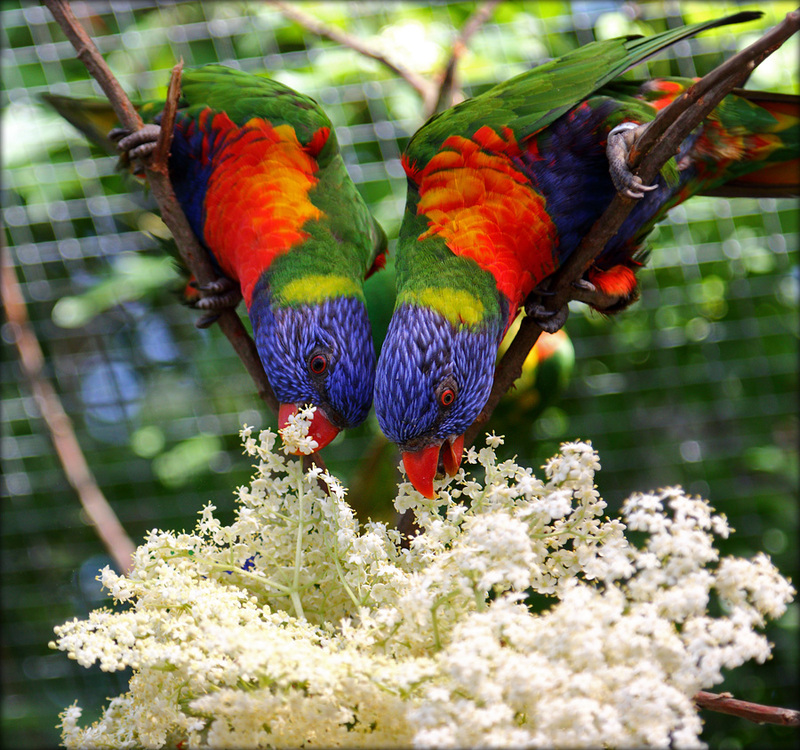 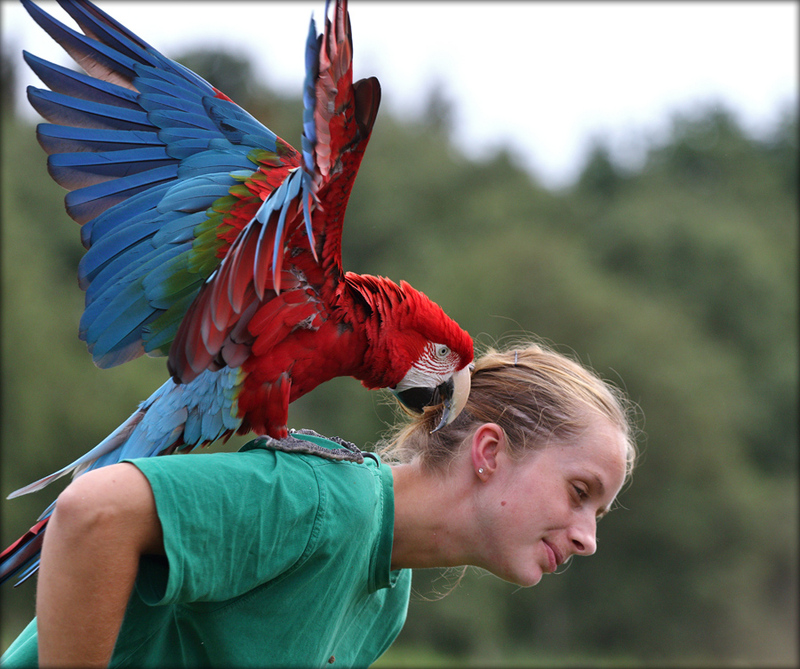 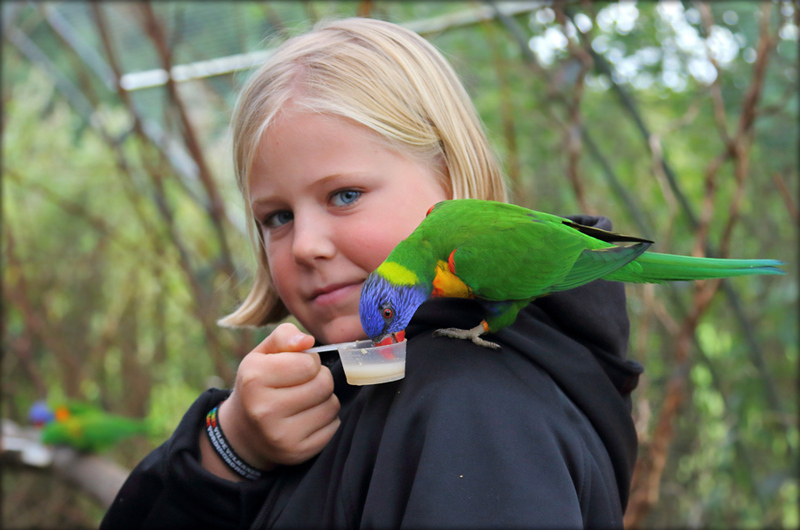 Help our zookeeper feeding the beautiful Lories from Australia. 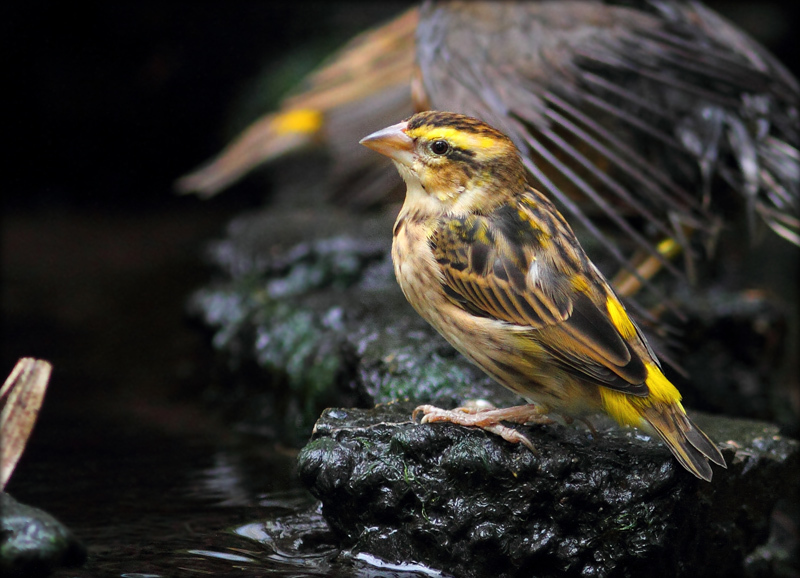 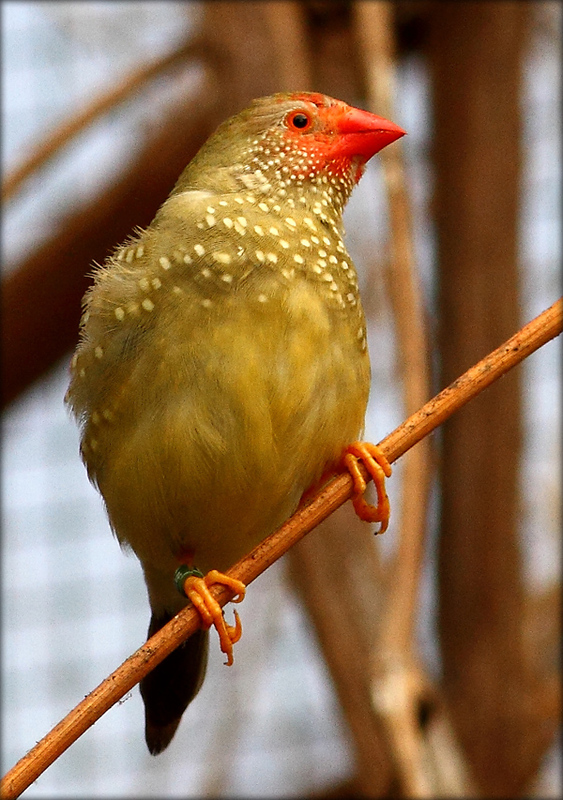 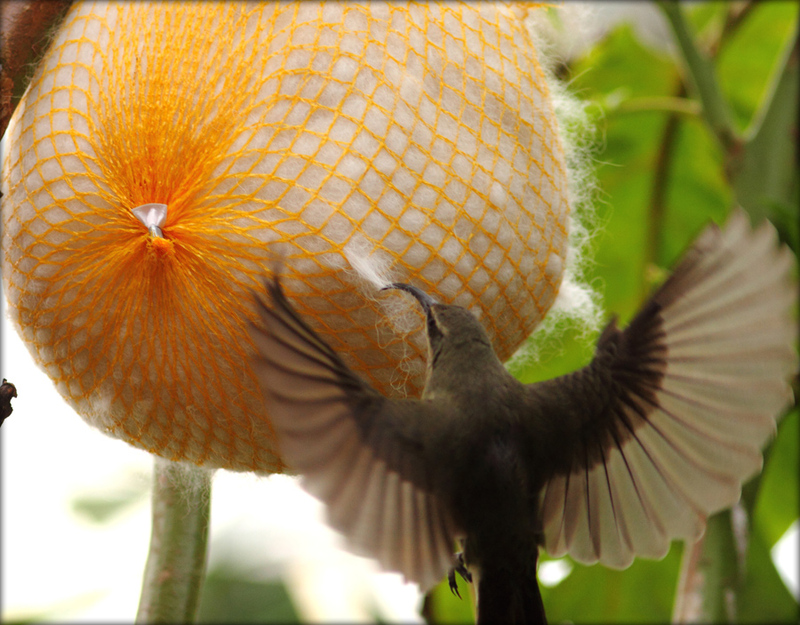 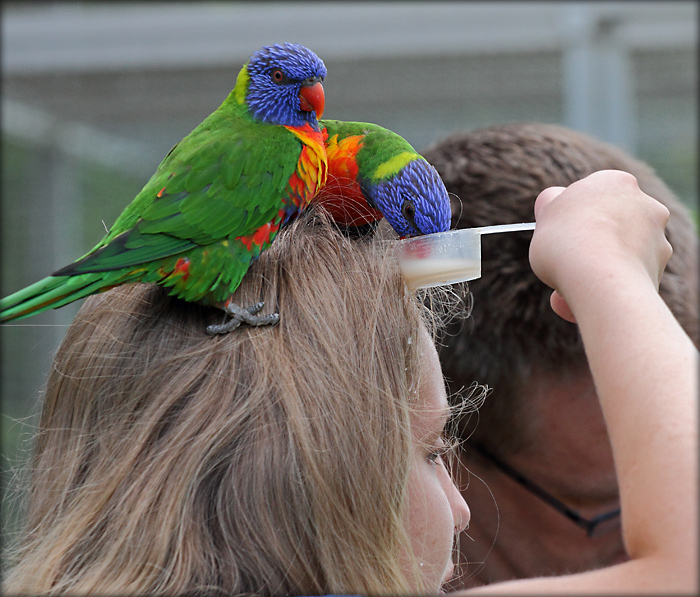 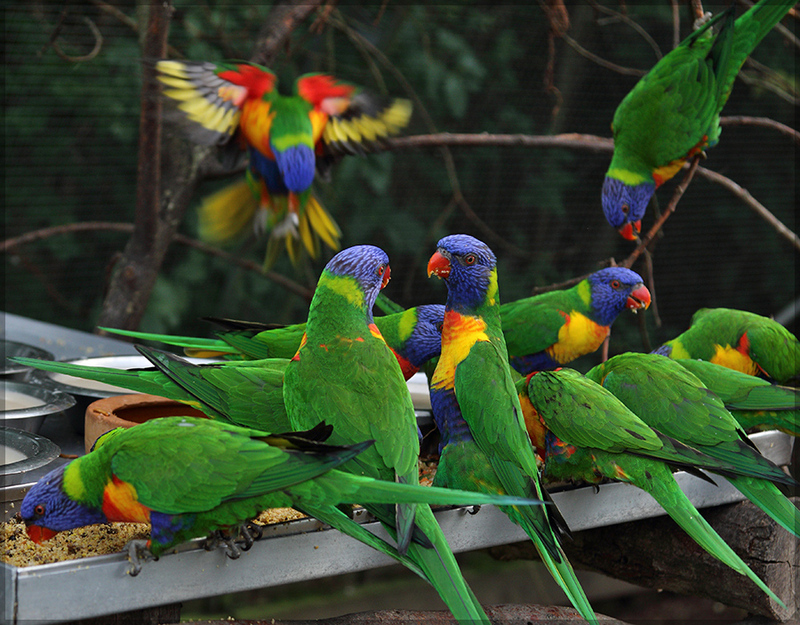 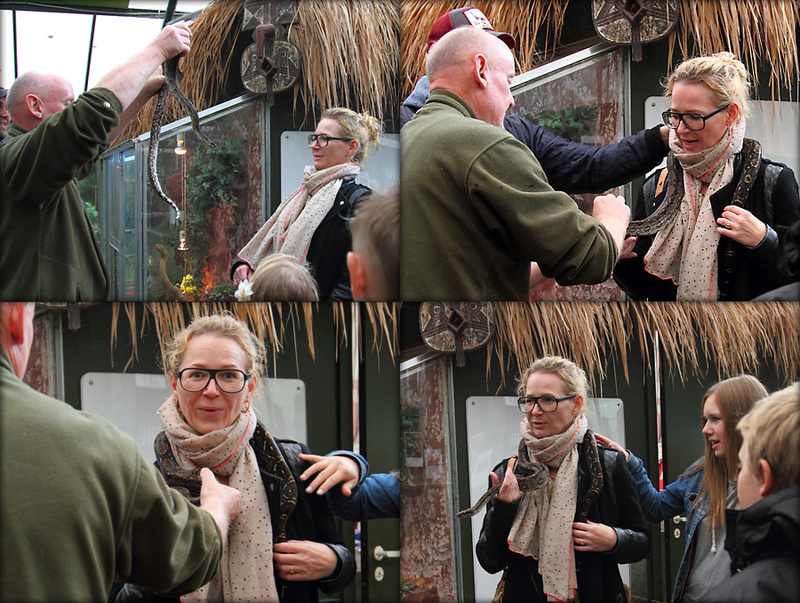 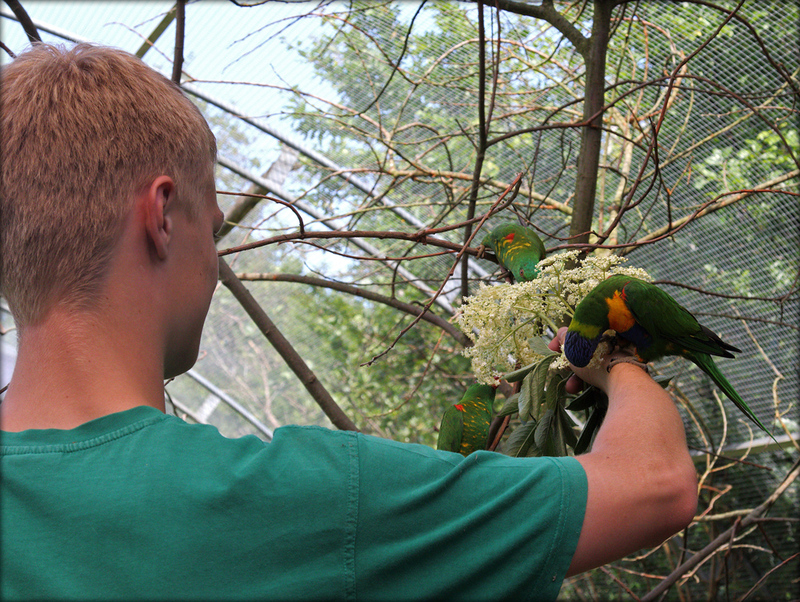 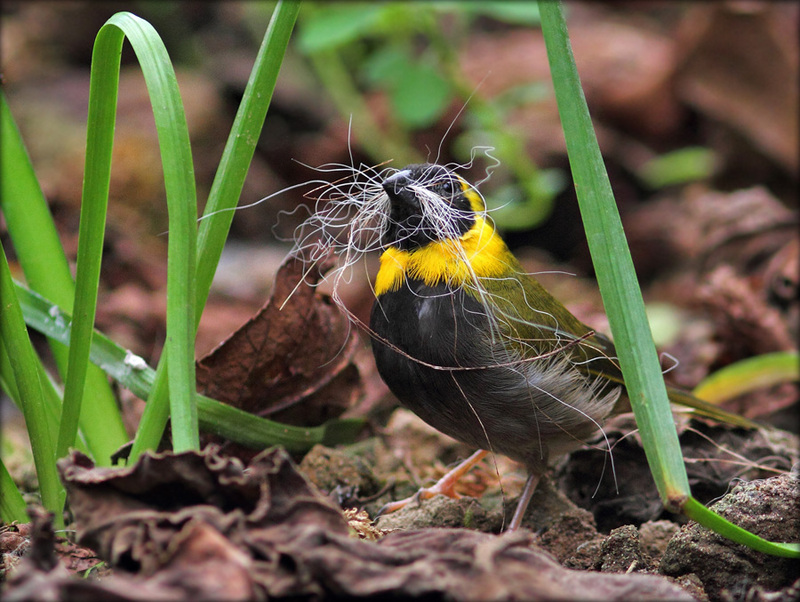 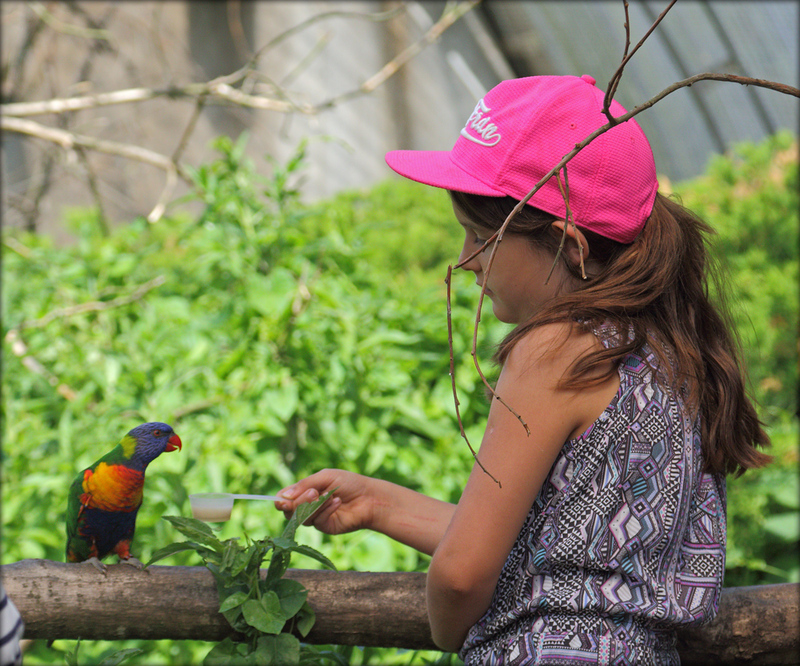 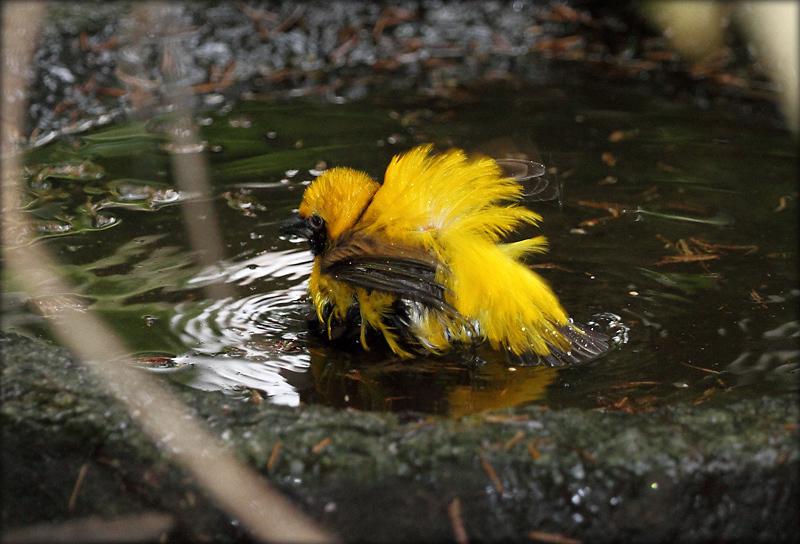 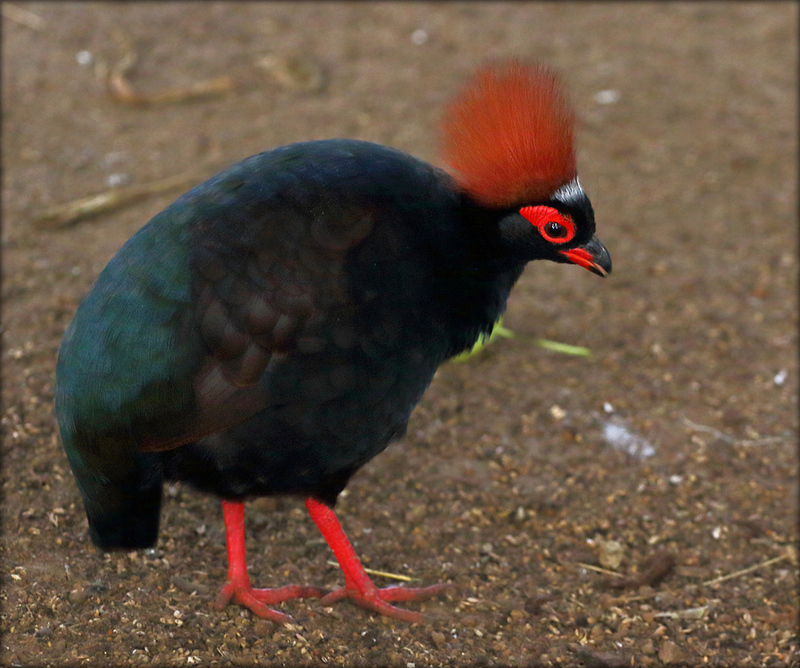 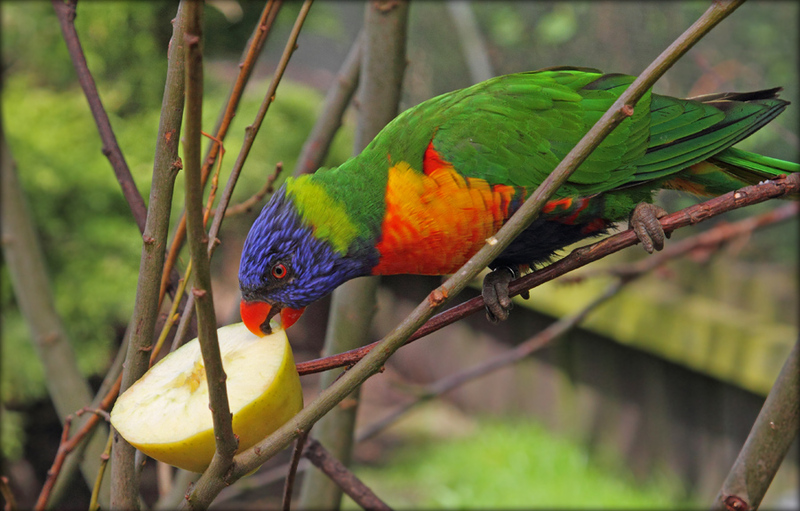 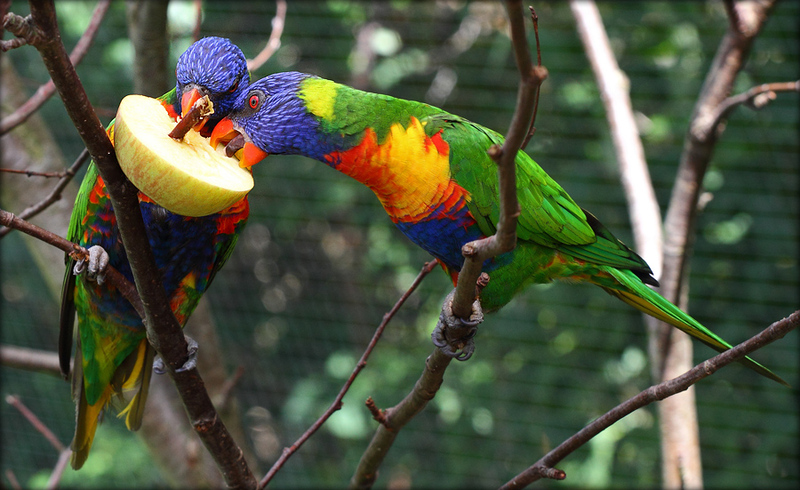 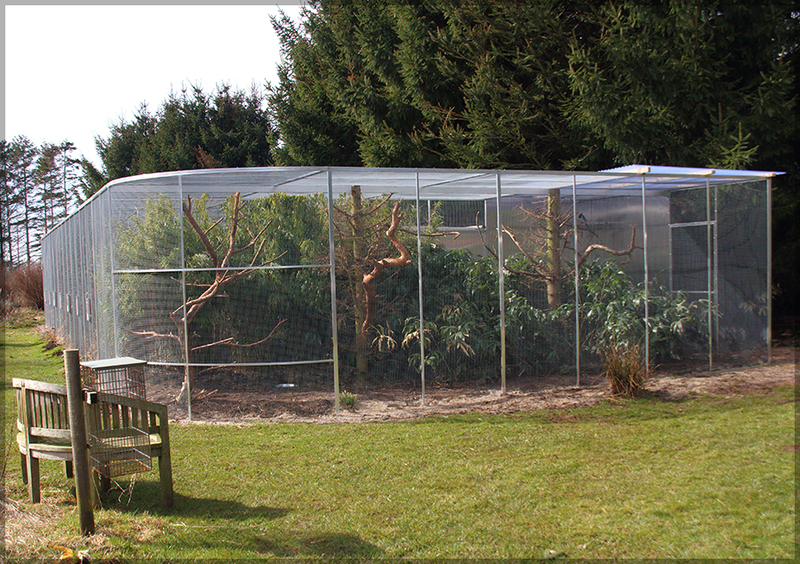 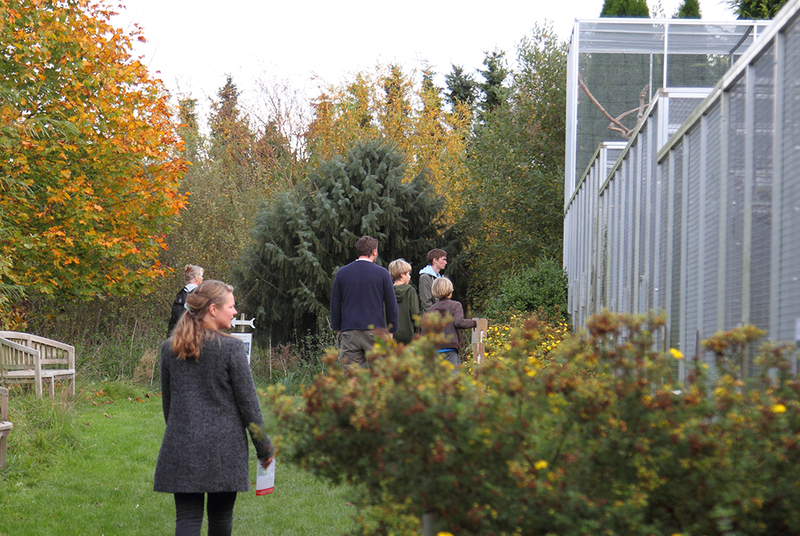 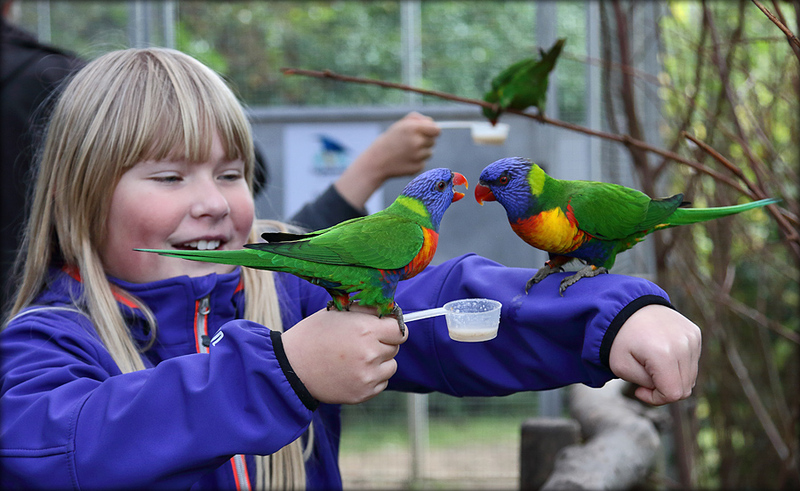 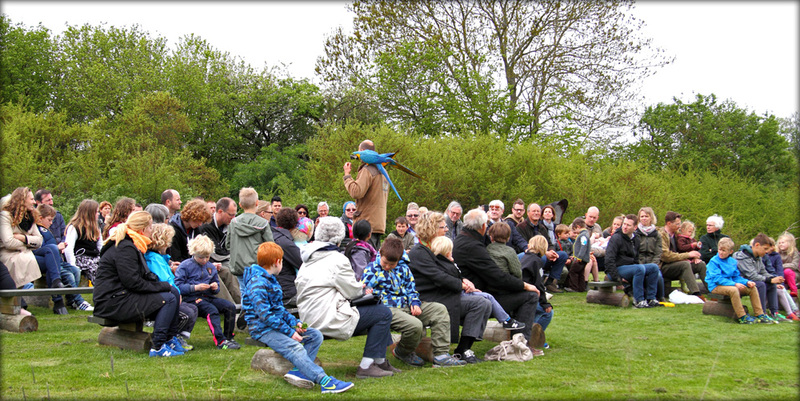 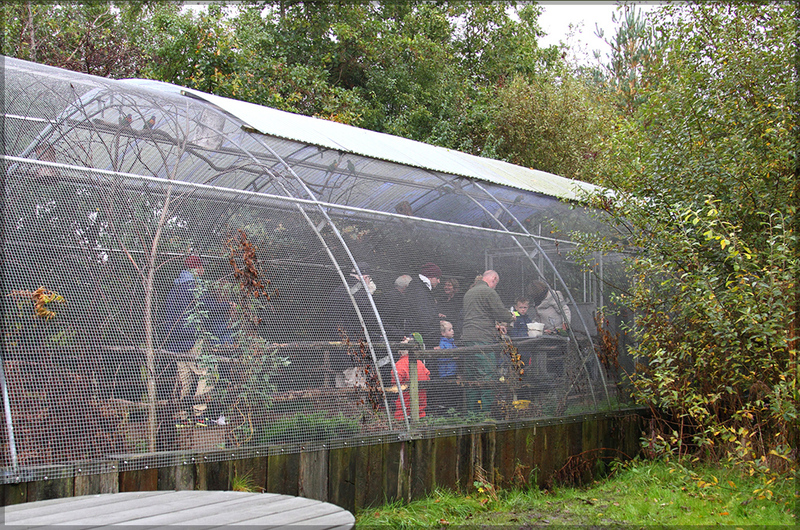 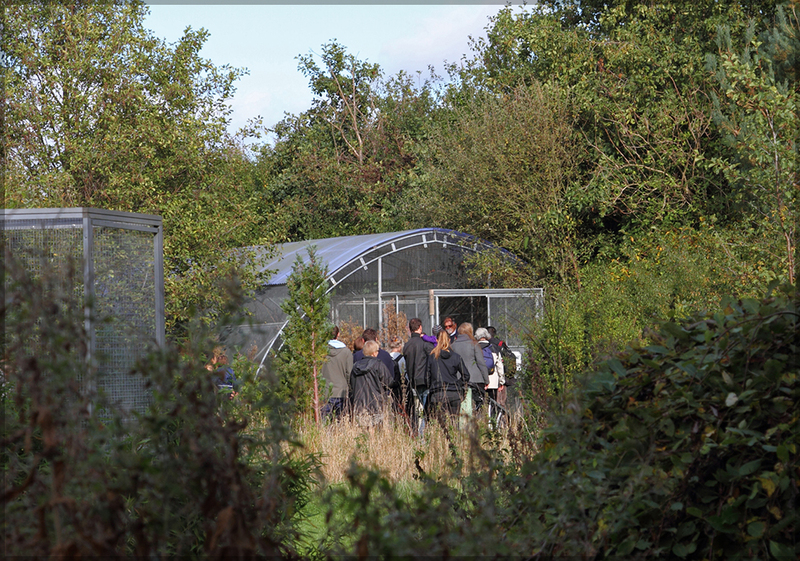 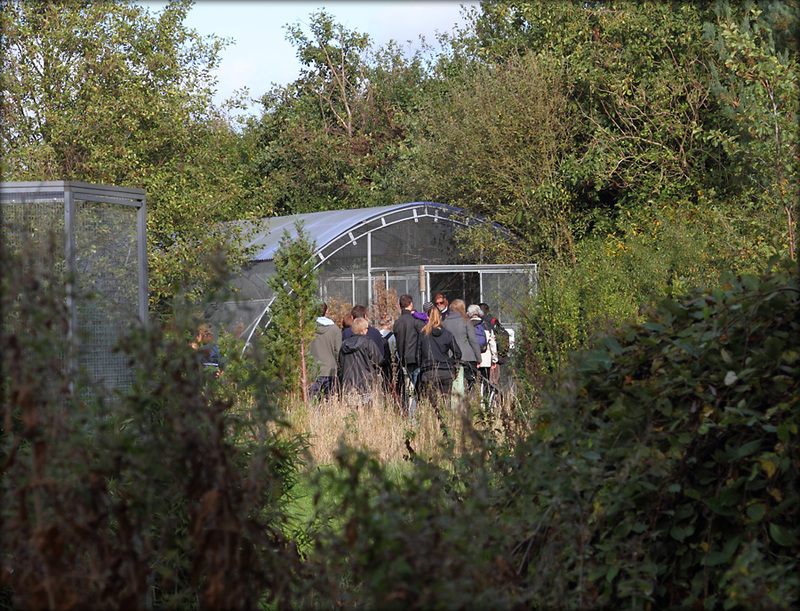 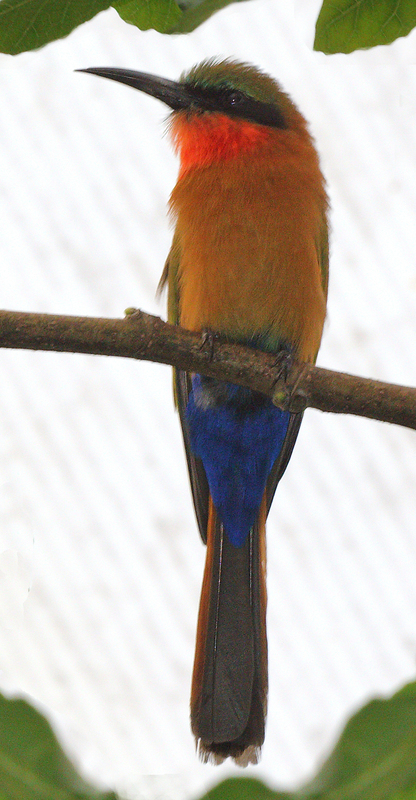 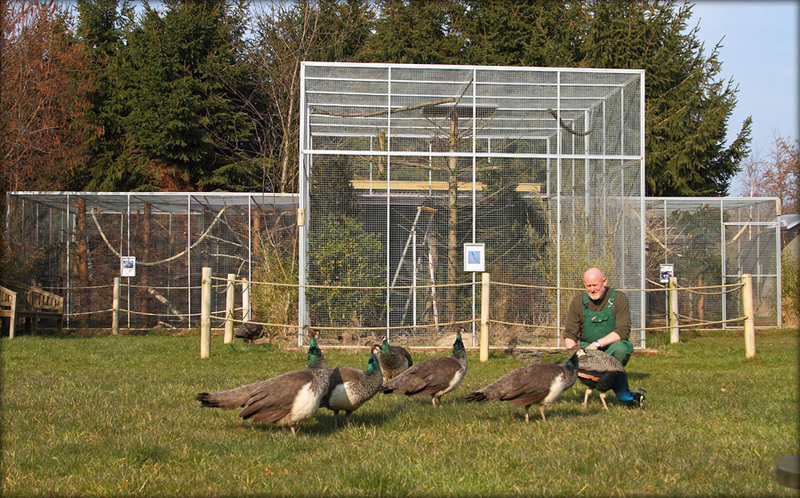 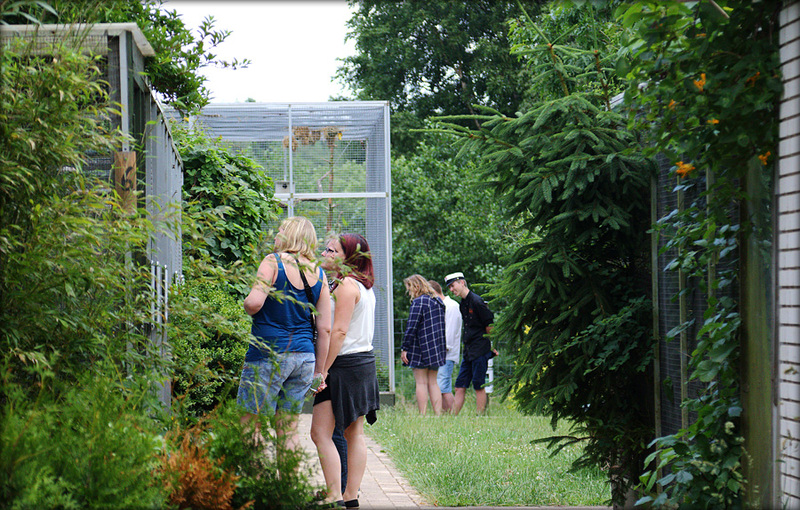 Join us inside the large aviary every day at 11:00 am and at 14:00 pm. 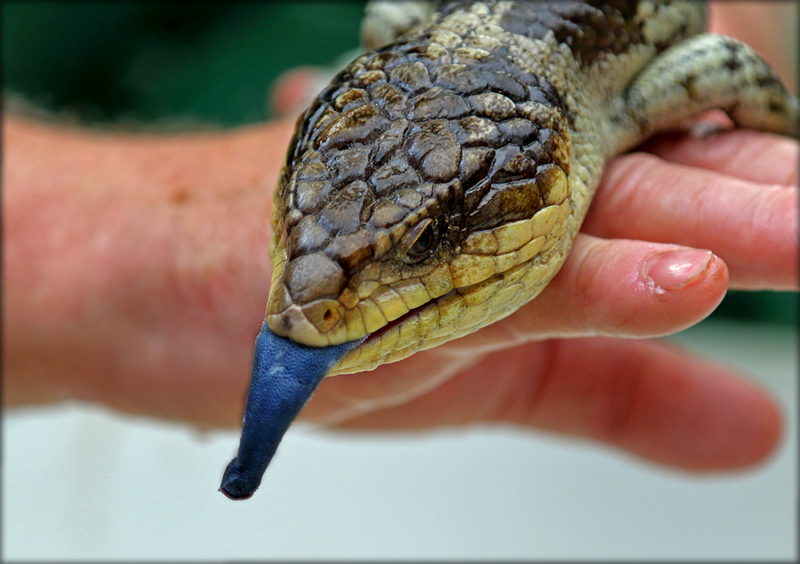 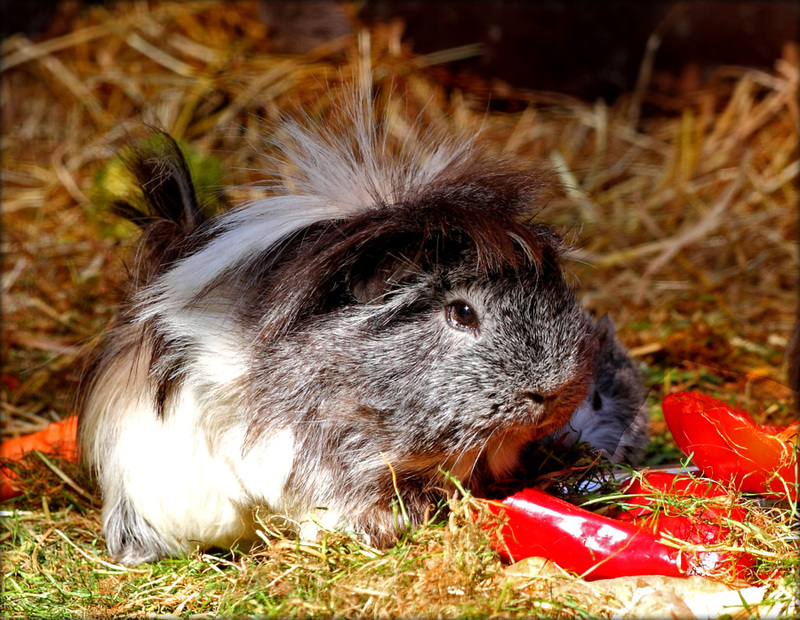 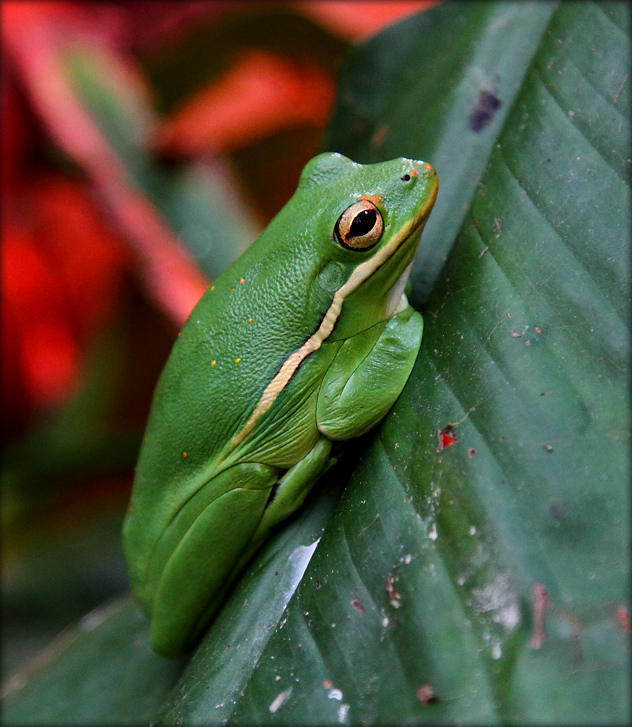 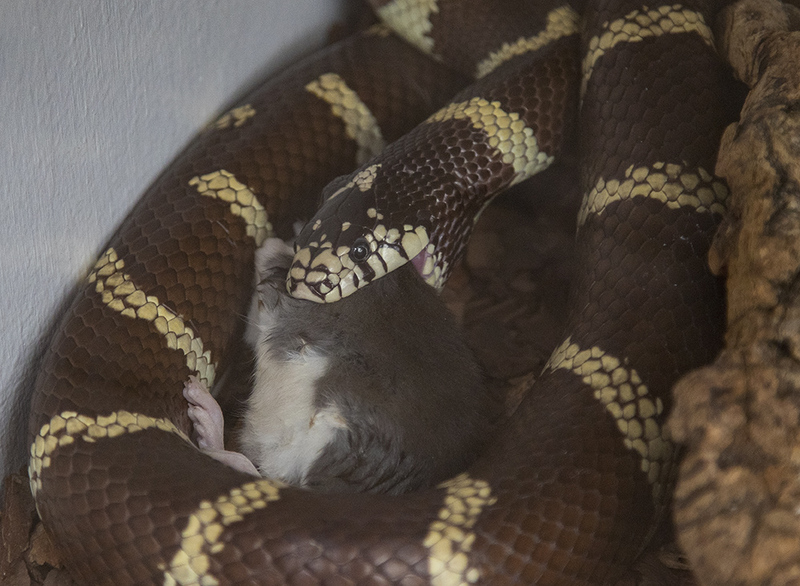 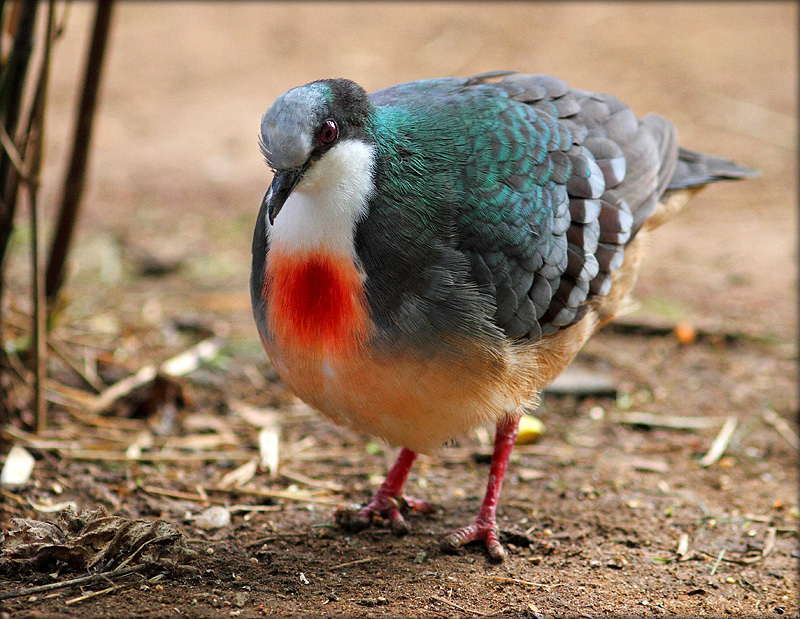 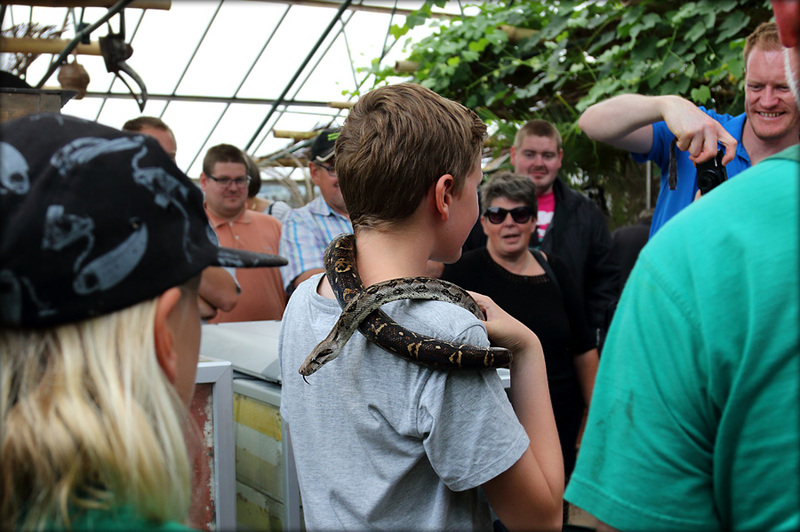 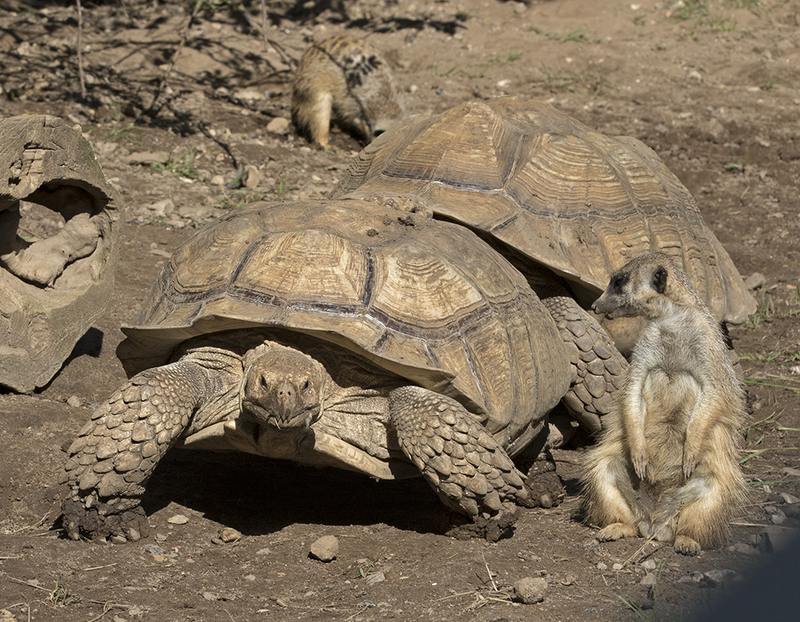 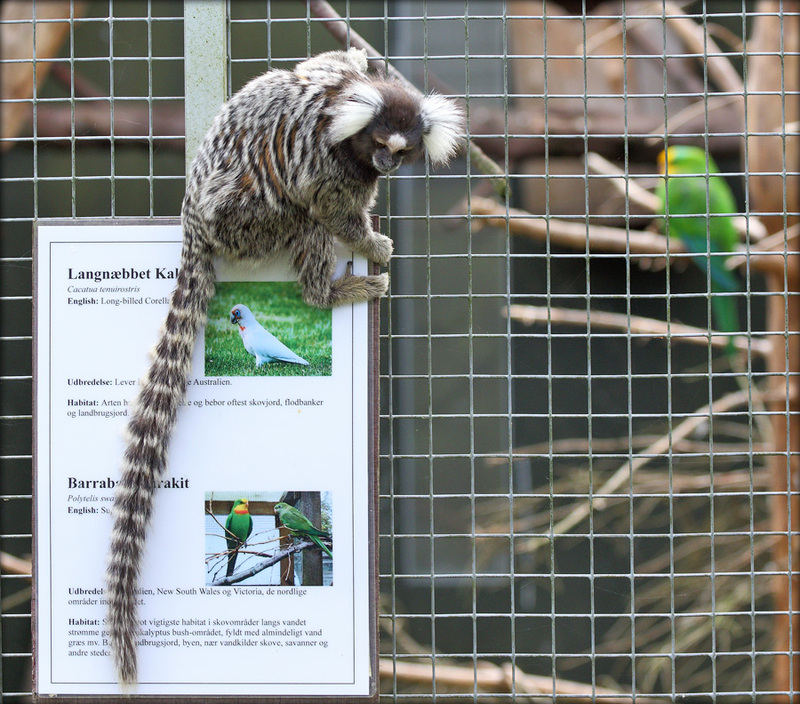 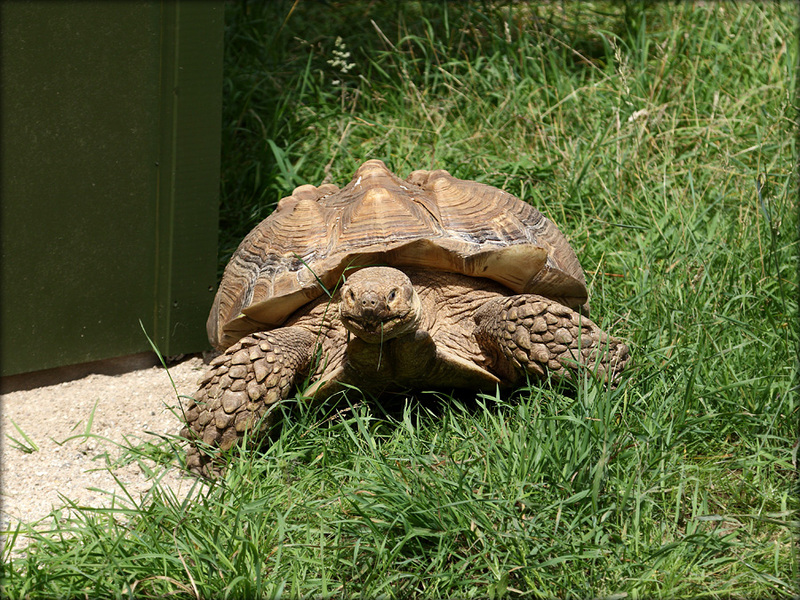 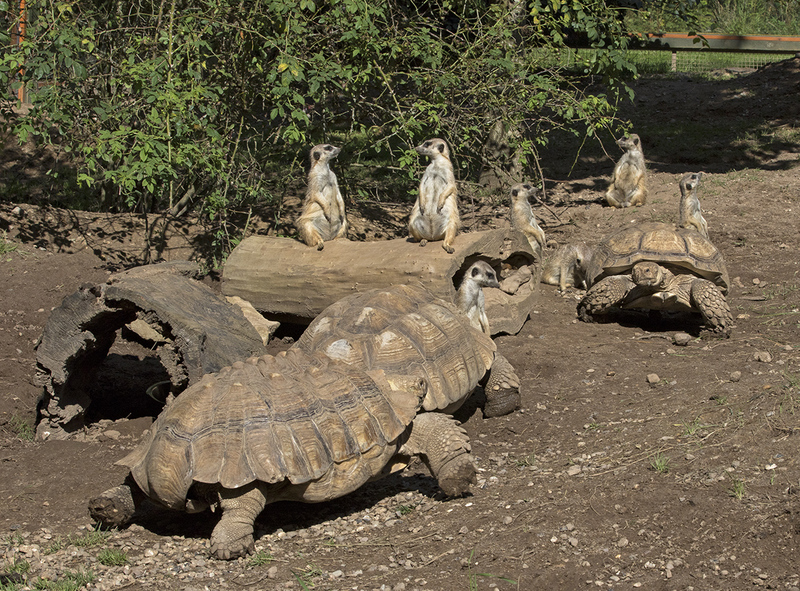 Although the Bird Park has been centered on the birds with more than 250 species, we also have a number of reptiles and small mammals in the park. 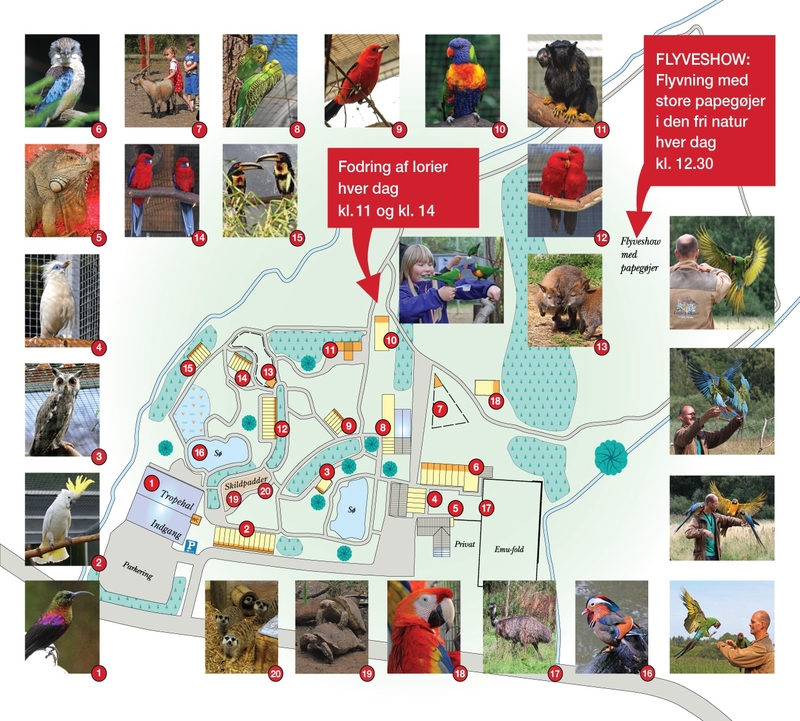 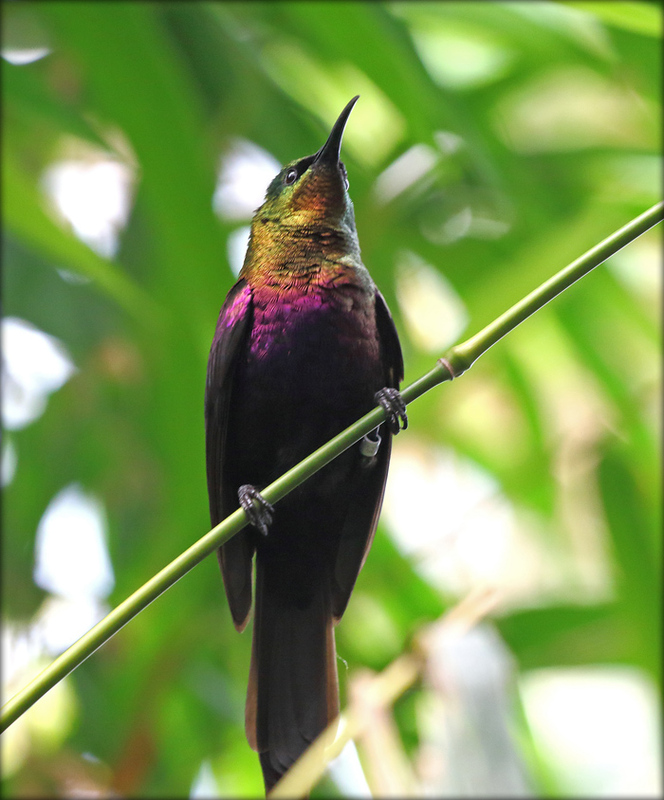 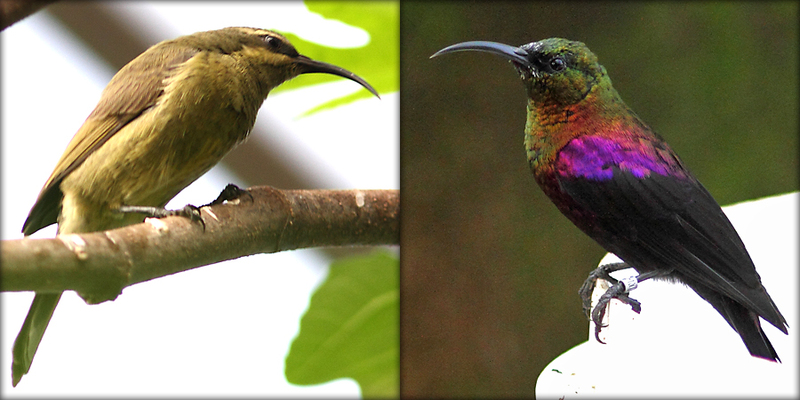 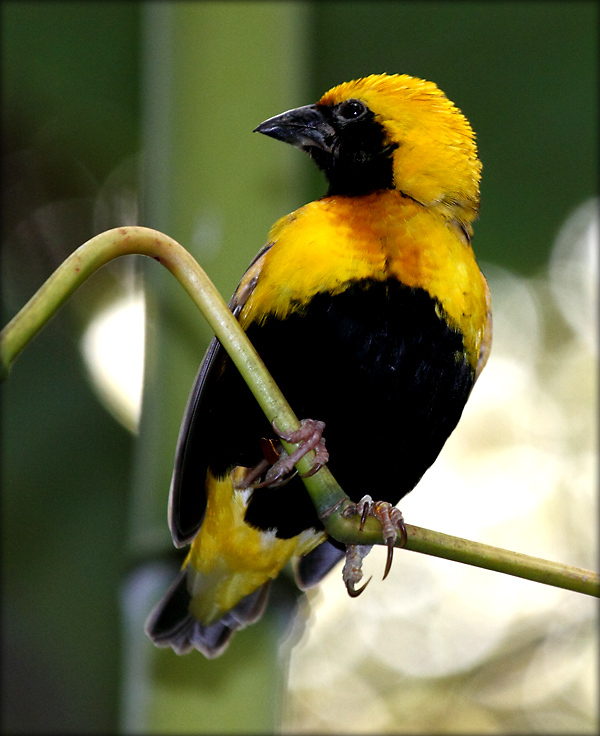 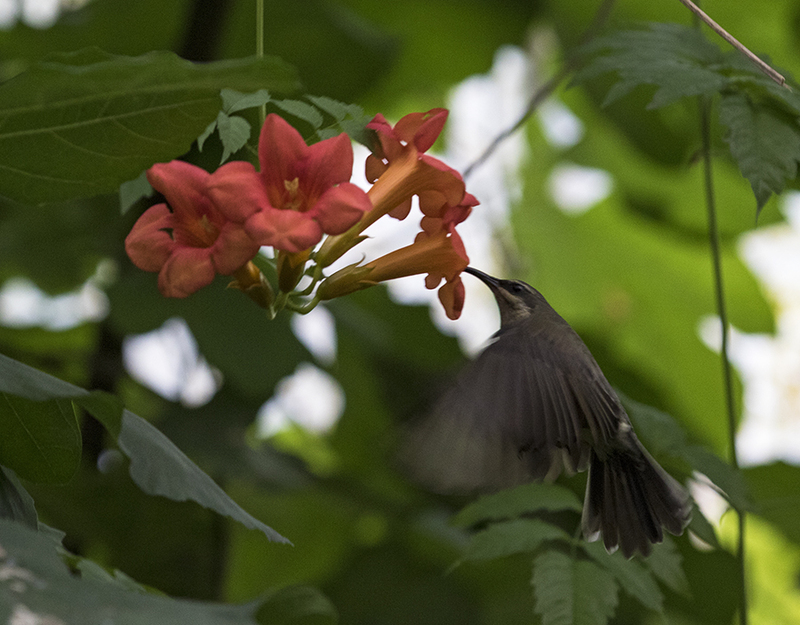 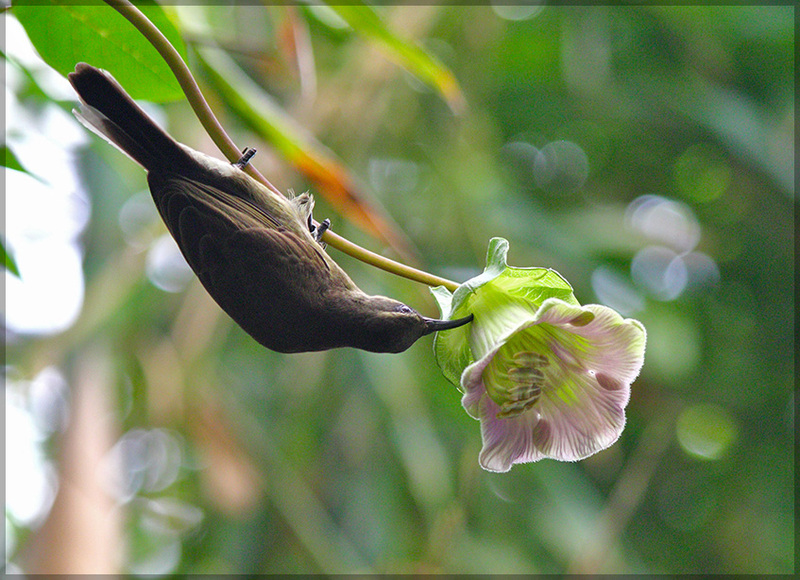 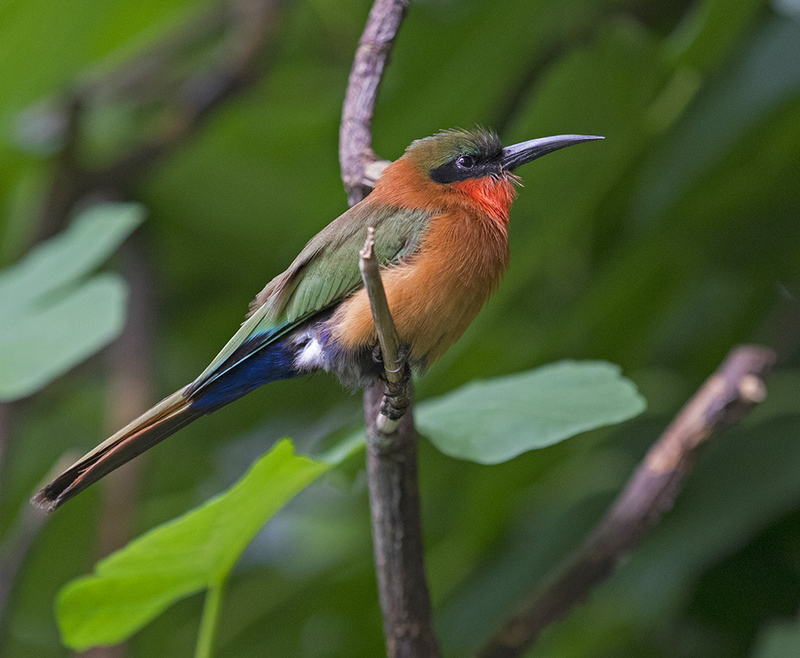 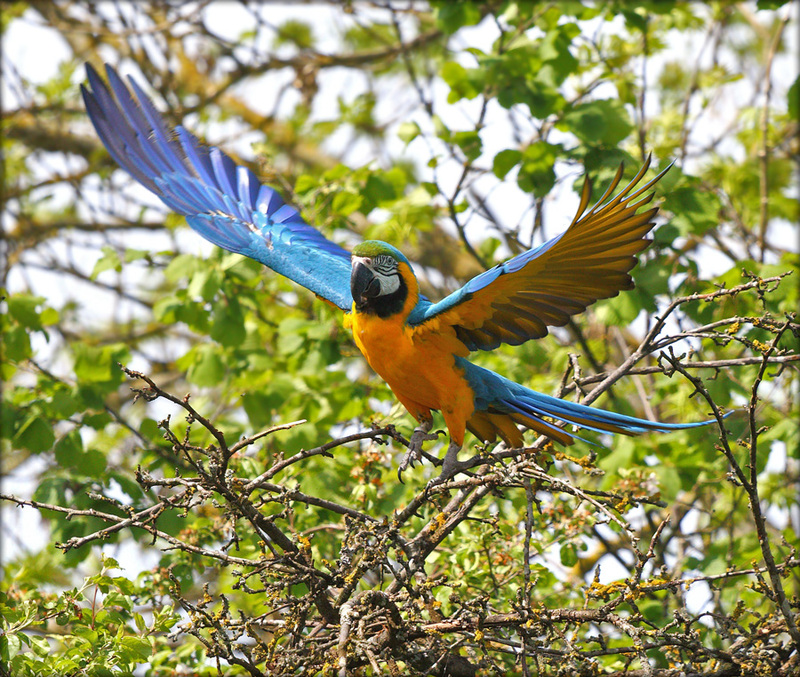 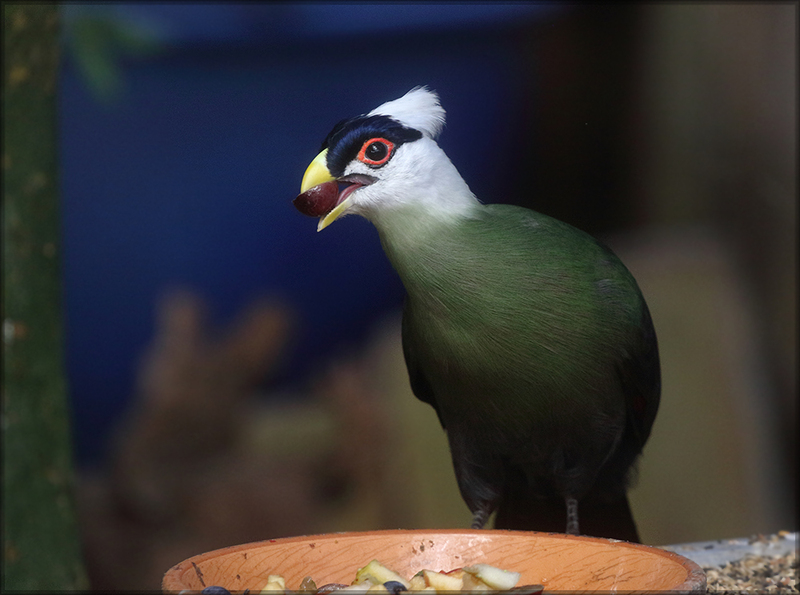 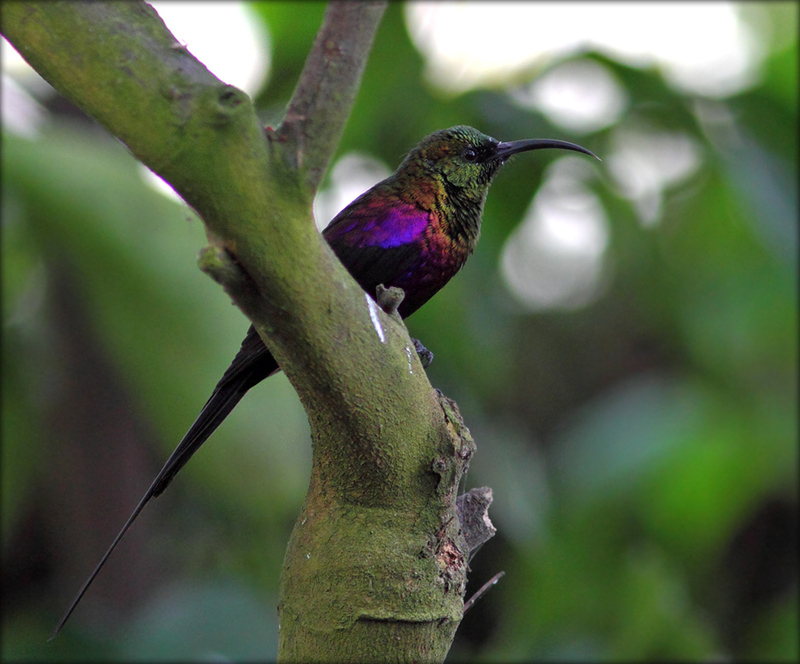 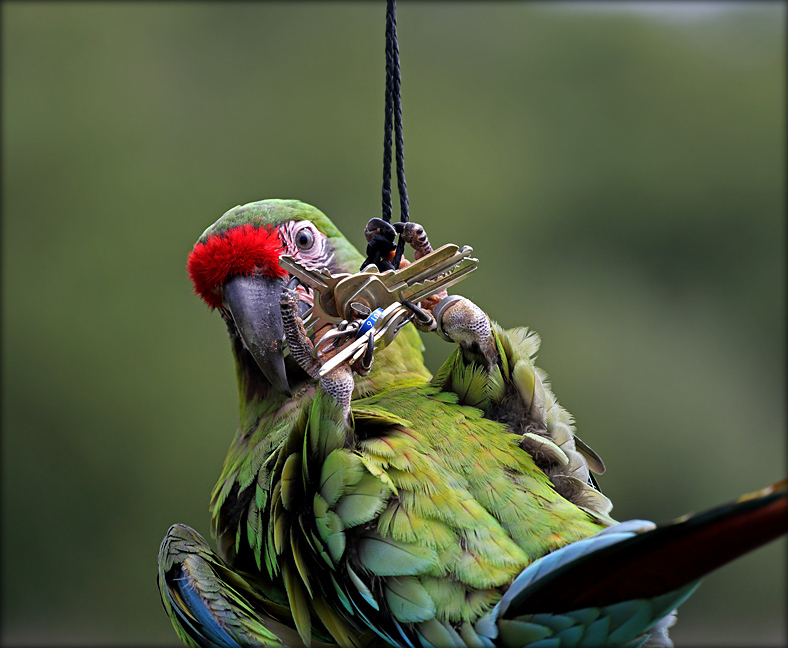 Visit our 600 sqm Tropical House with 4 different Tortoi-ses, Marmosets, Channel-billed Toucan, Bronze Sunbird, Spur-winged Plover and about 40 other bird species. 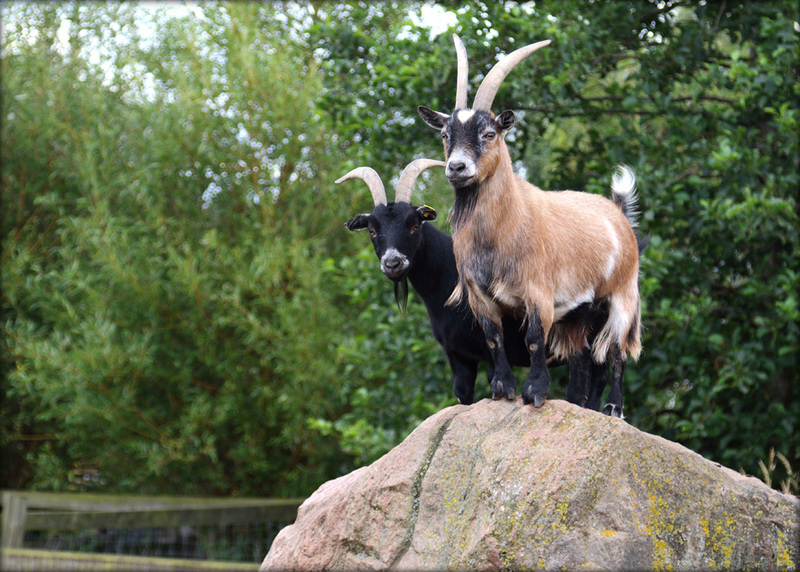 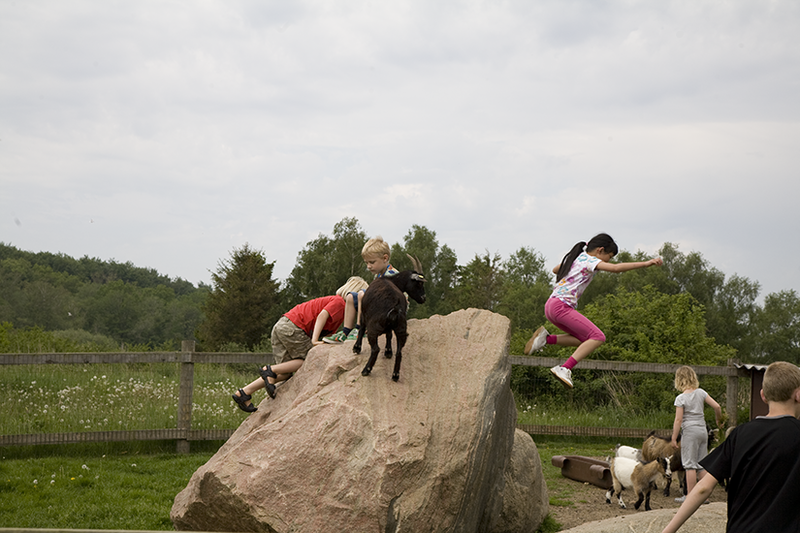 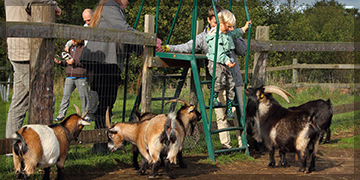 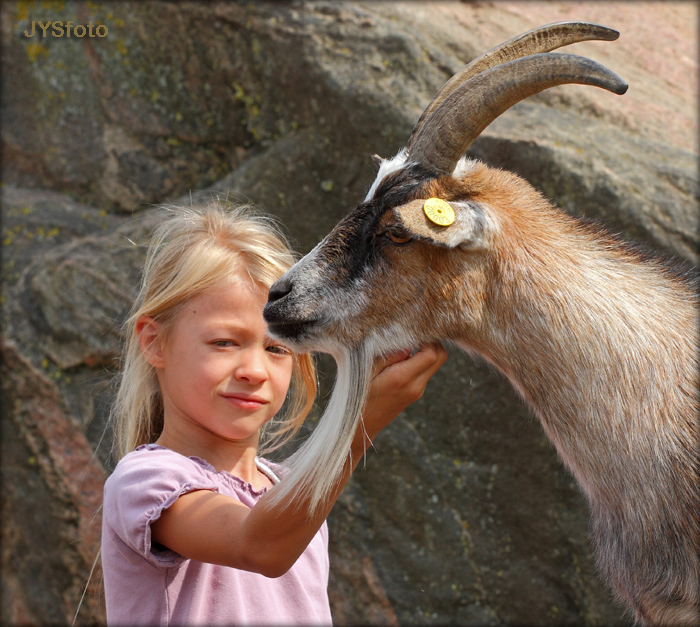 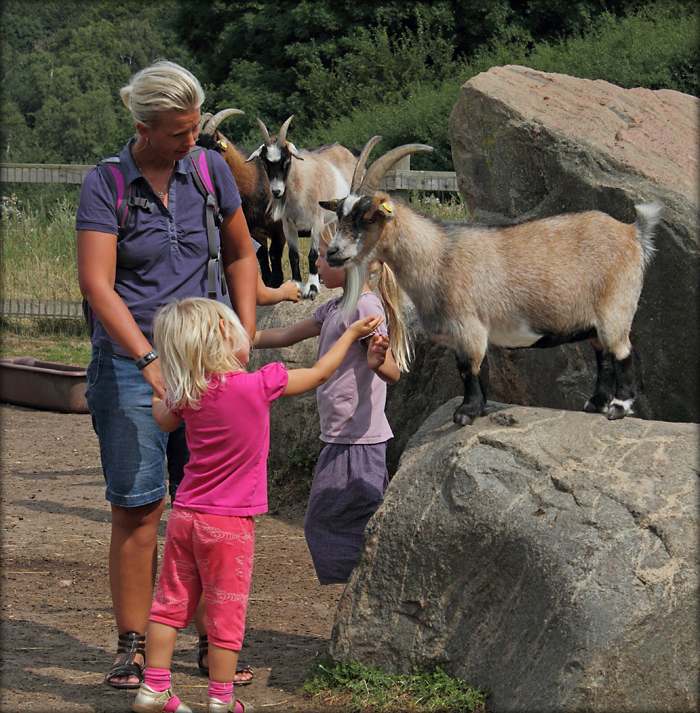 Climb into the African dwarf goats - they love kids and are fun to feed. 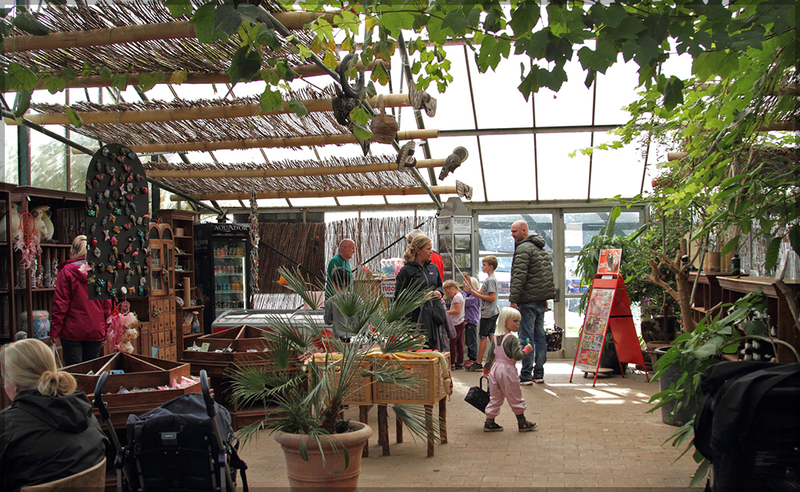 You can buy food in the Tropical House.